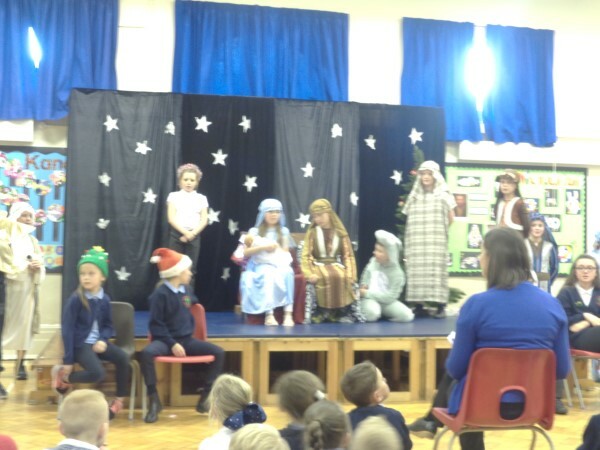 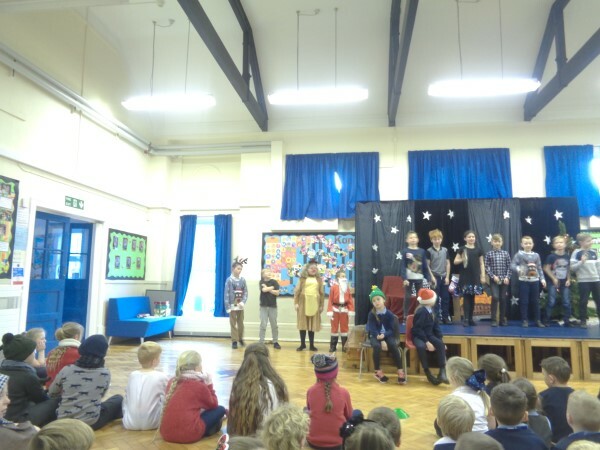 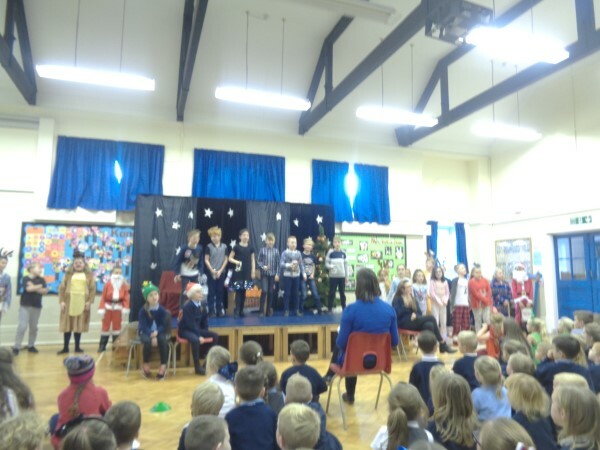 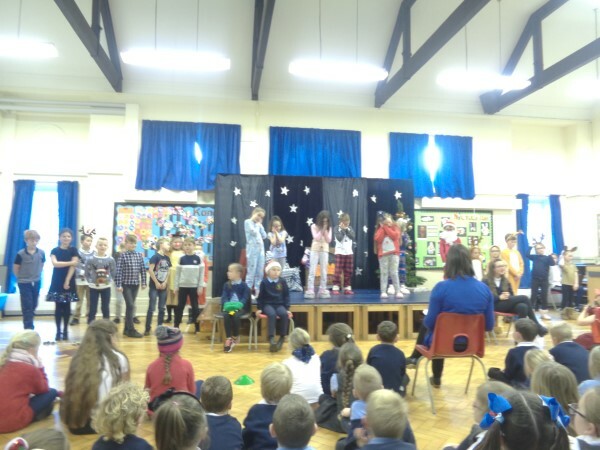 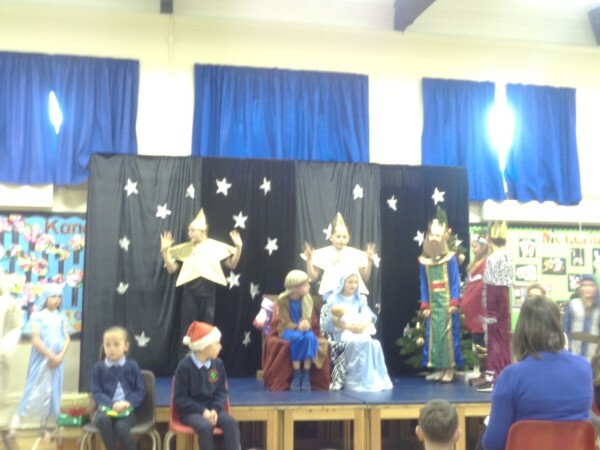 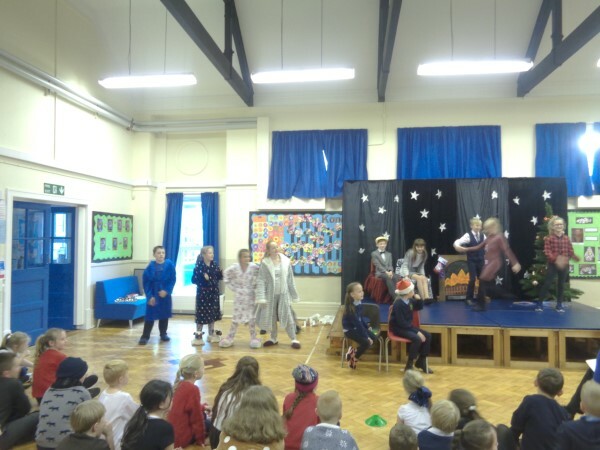 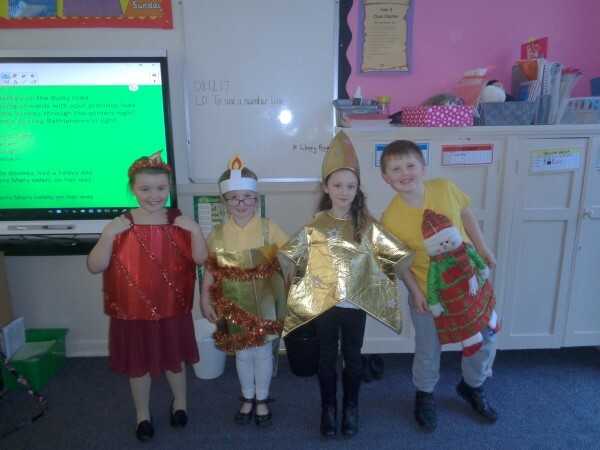 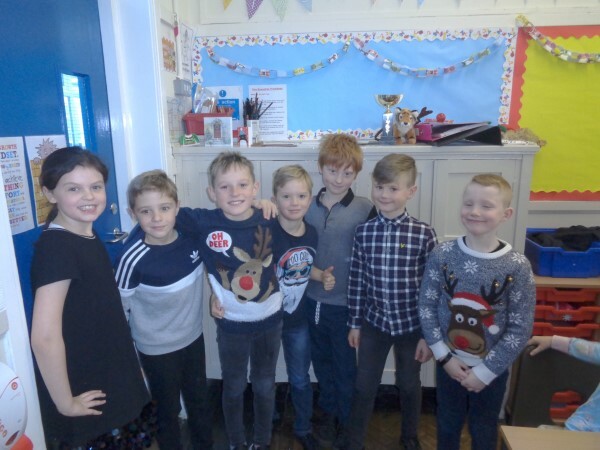 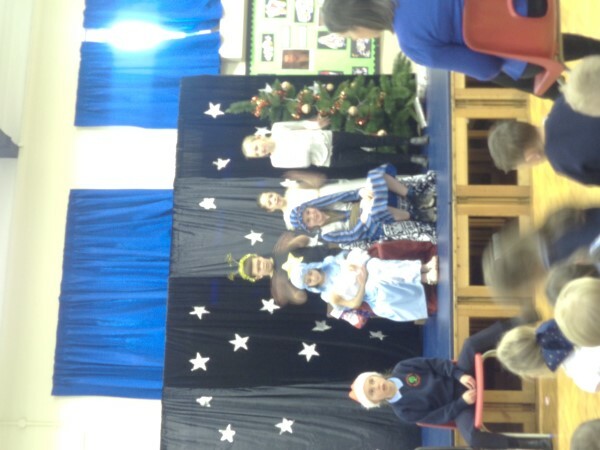 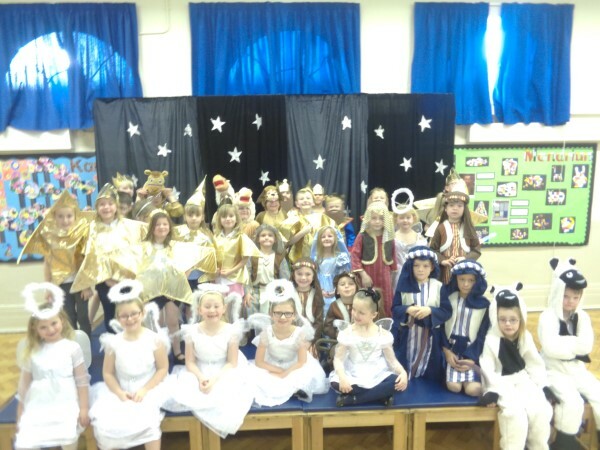 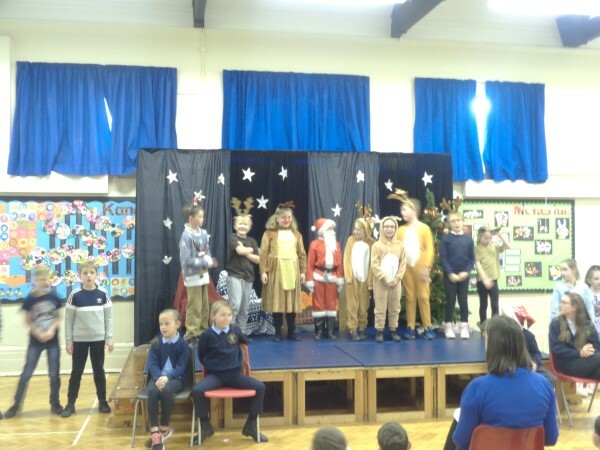 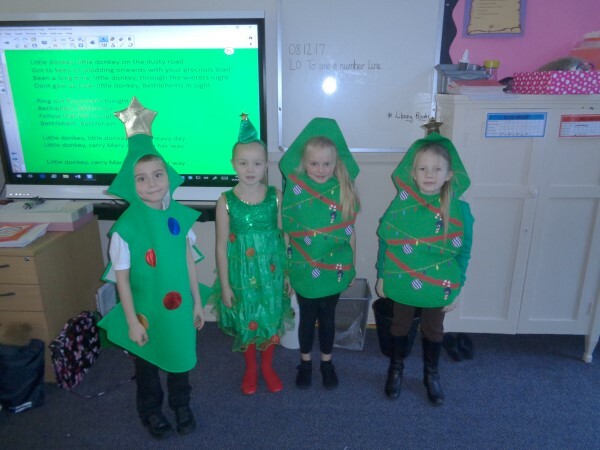 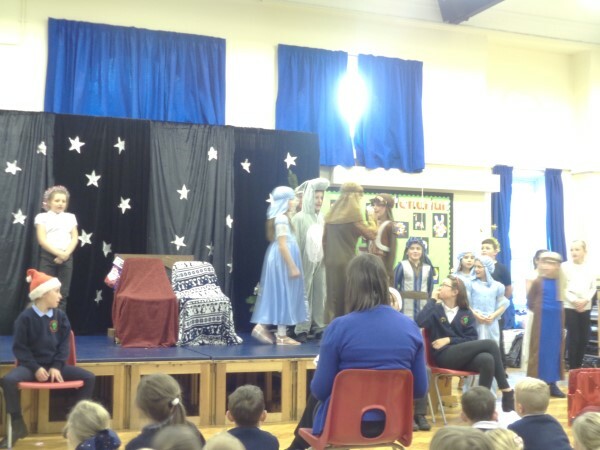 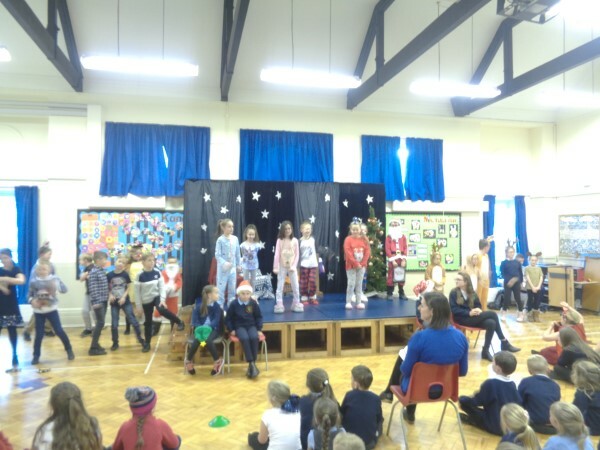 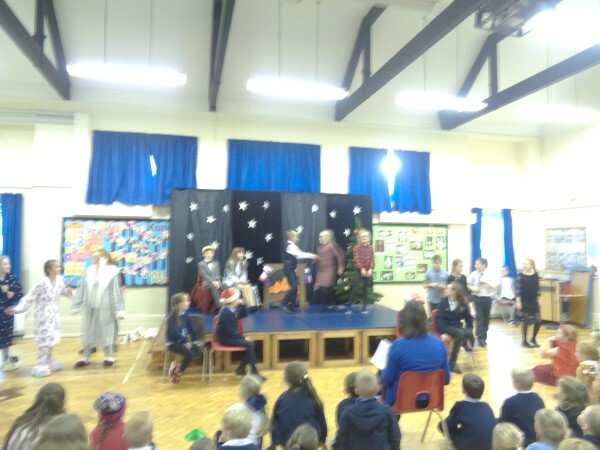 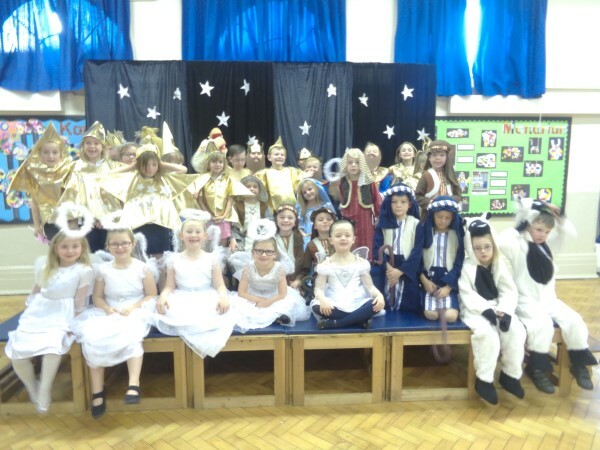 Well done to all children across the school for successfully completing their dress rehearsals for the Christmas productions. 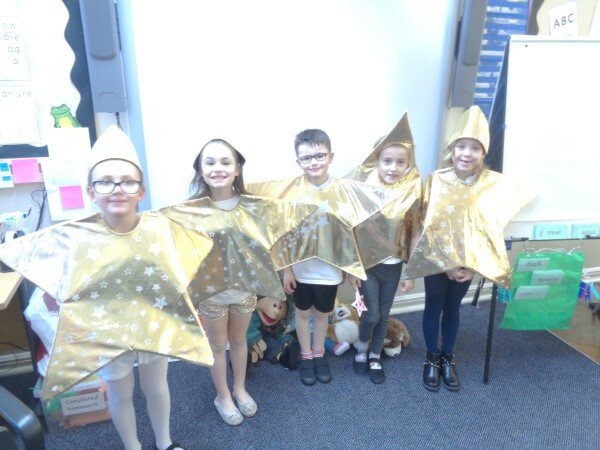 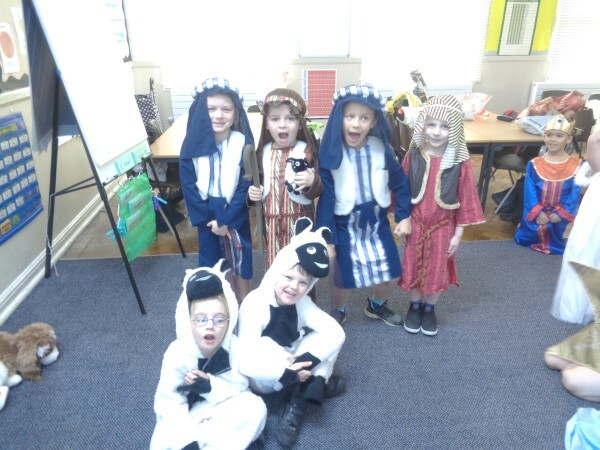 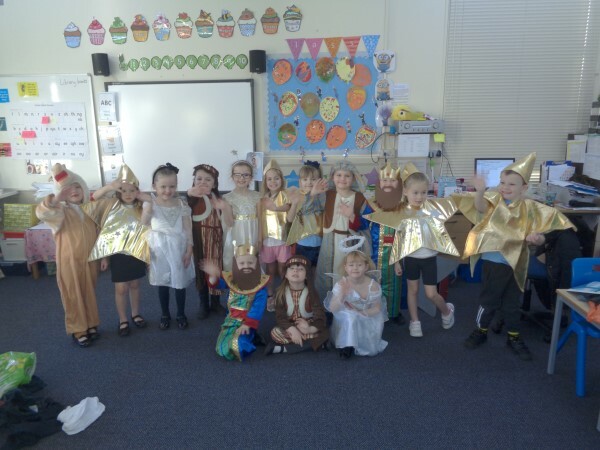 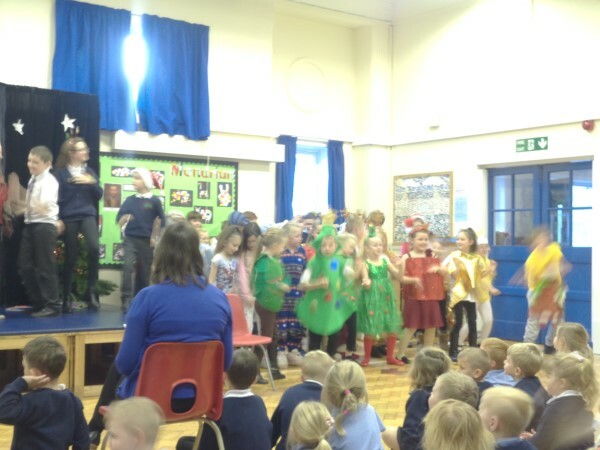 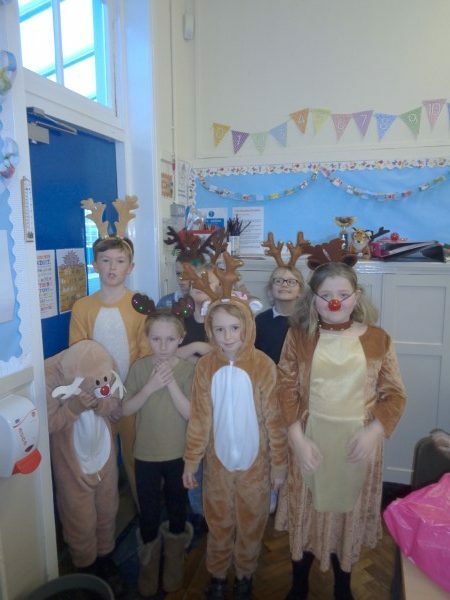 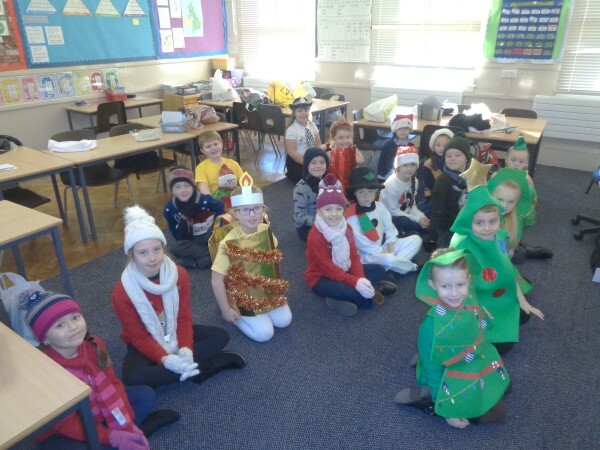 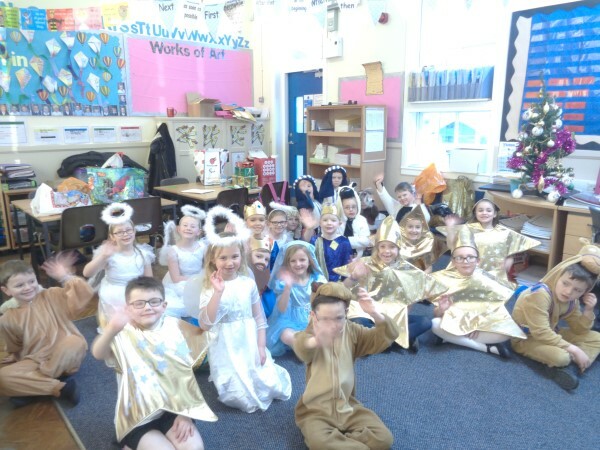 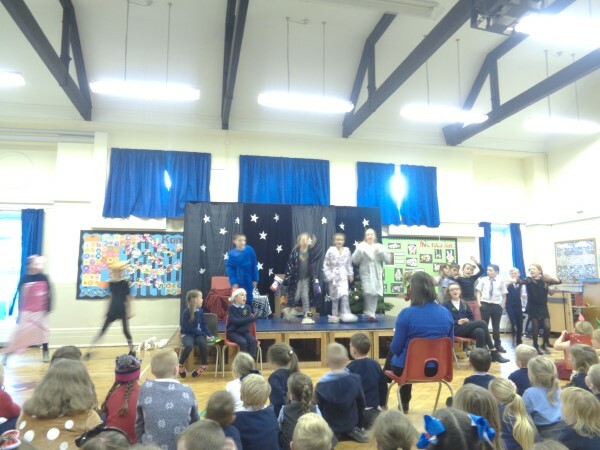 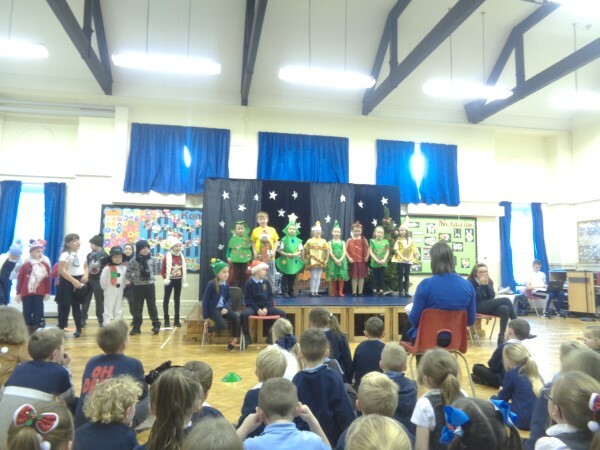 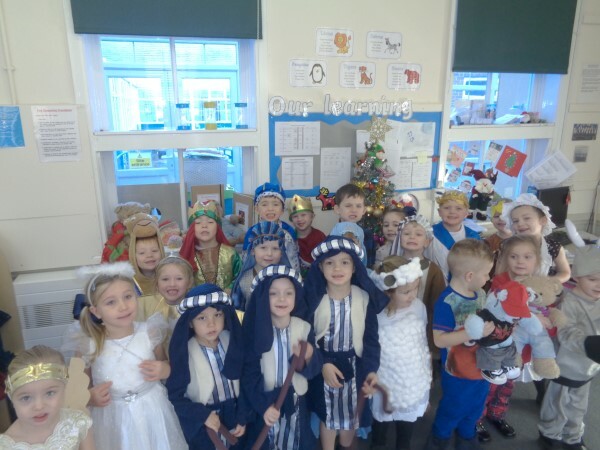 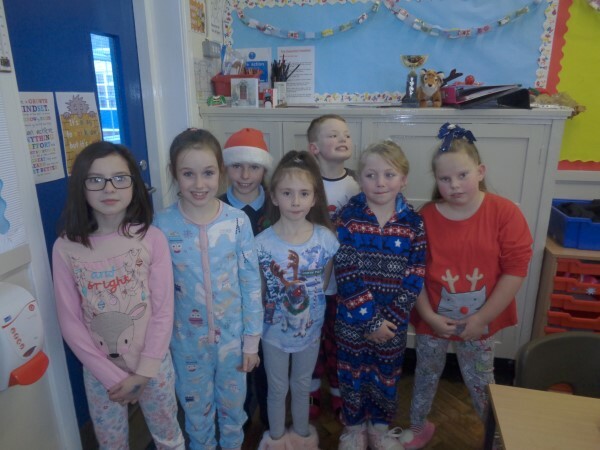 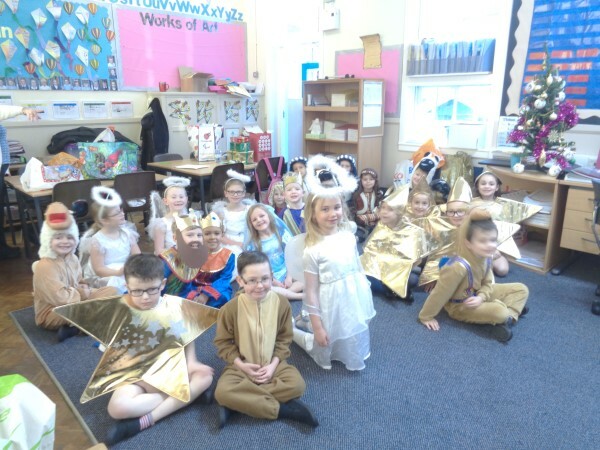 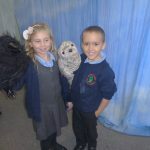 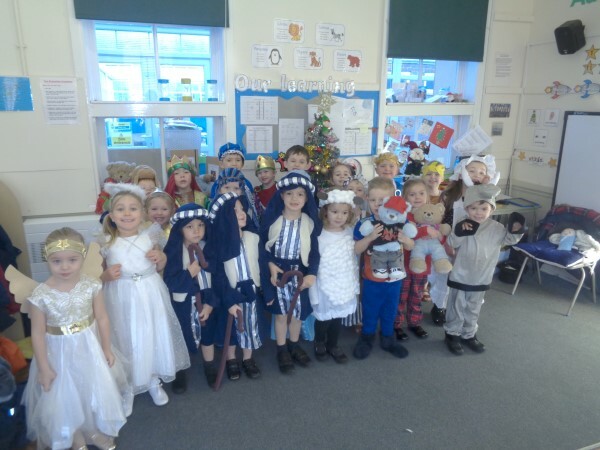 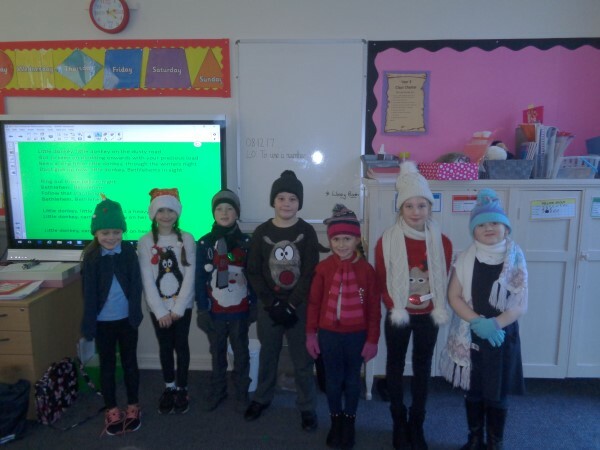 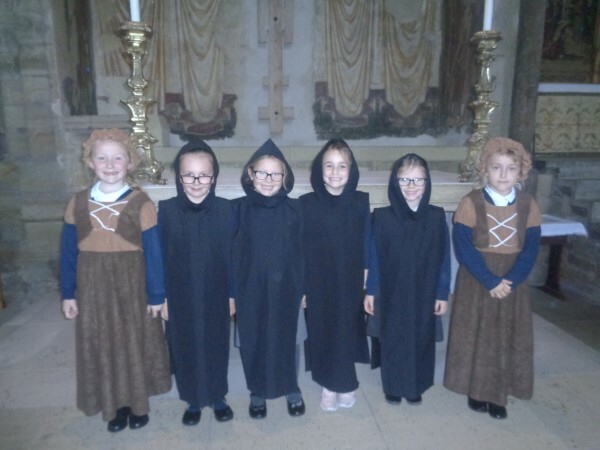 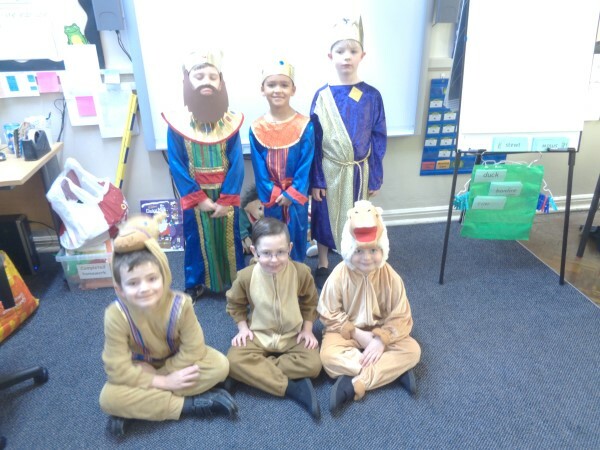 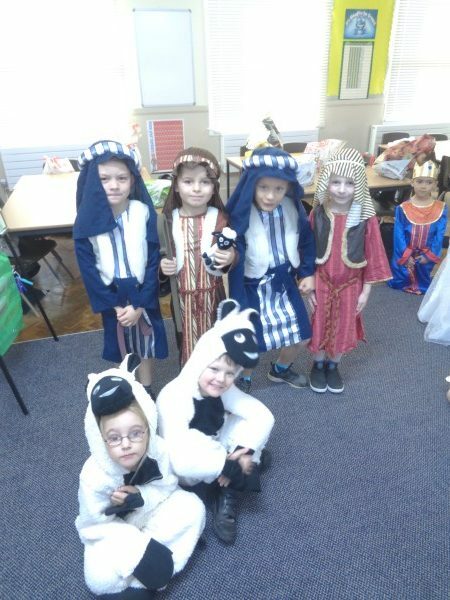 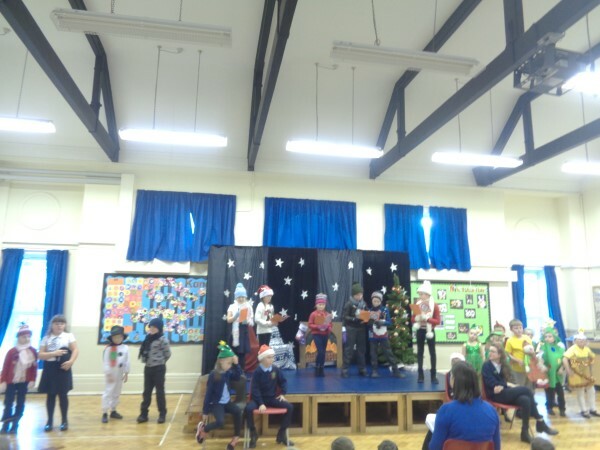 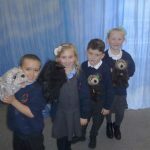 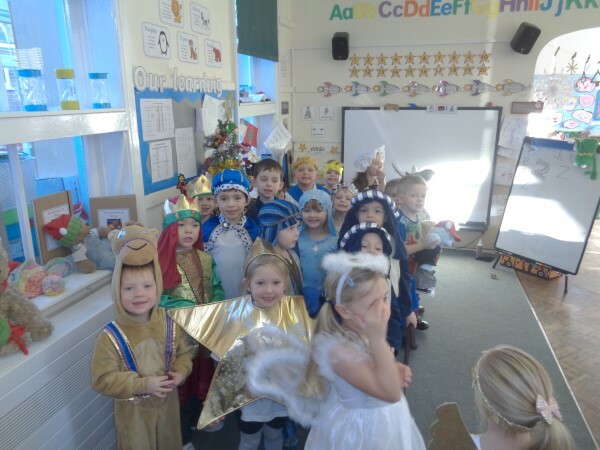 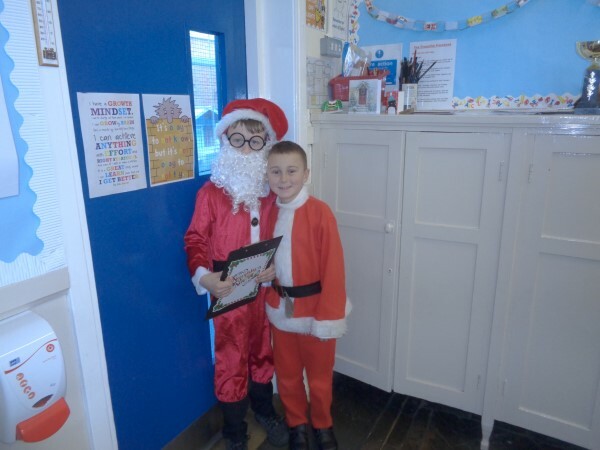 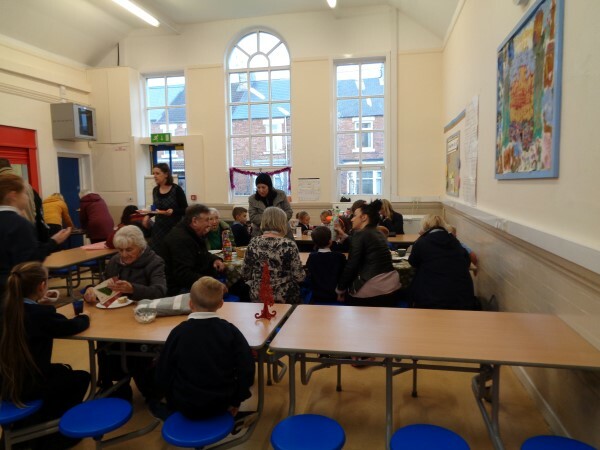 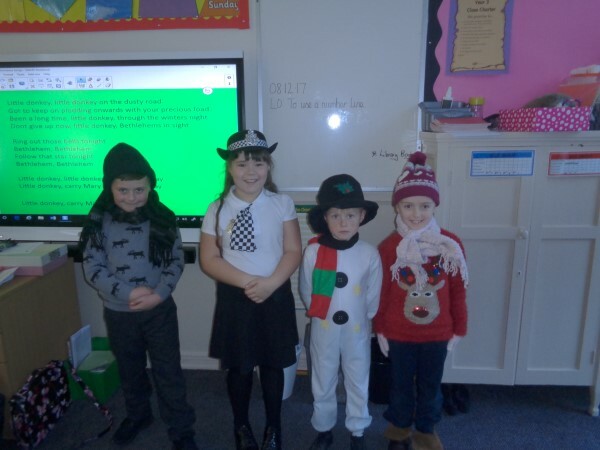 The children all looked amazing in their costumes and it was obvious that the children had spent time practising their lines and songs at home as well as in school. 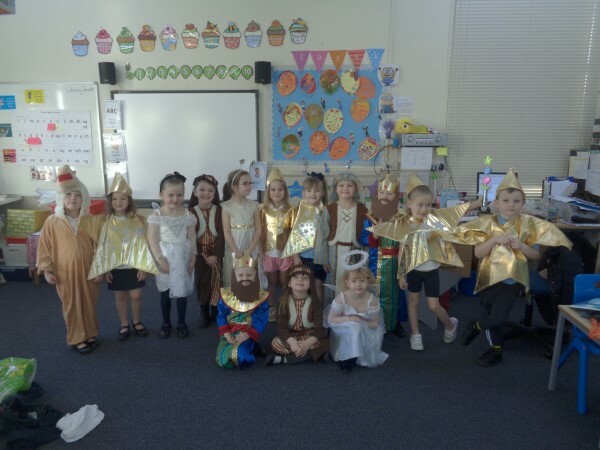 Anyone with tickets to watch the afternoon or evening performances of A king is born by Reception, Shine star shine by Classes 1 & 2 and No ideas for Christmas by Key Stage Two, are in for a real treat! 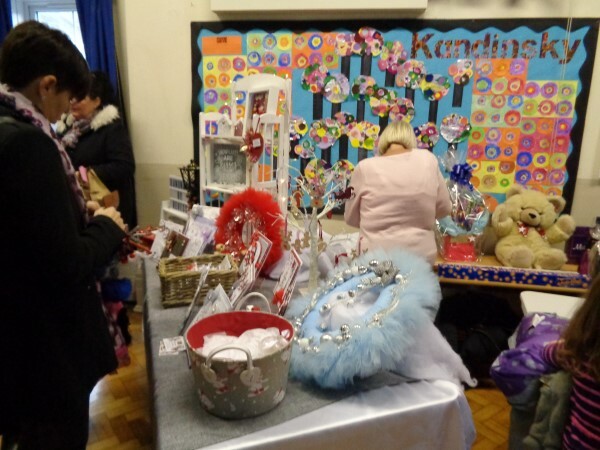 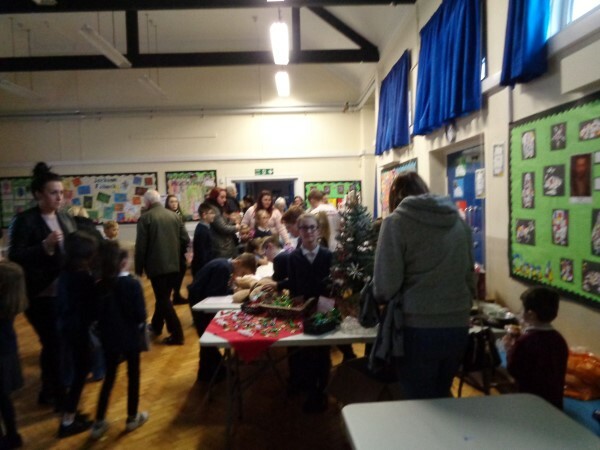 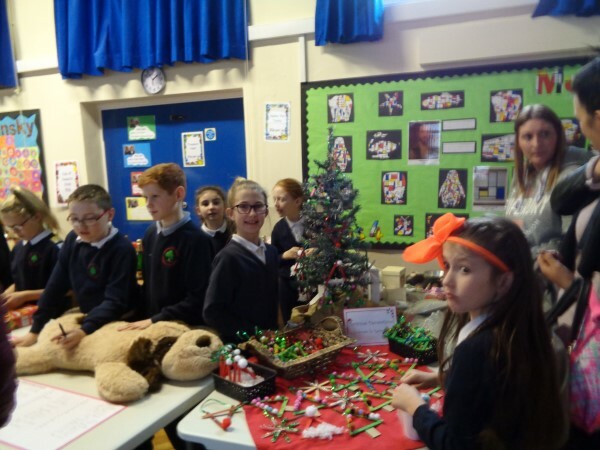 Thank you to everyone who made our Christmas Fair such a huge success this year. 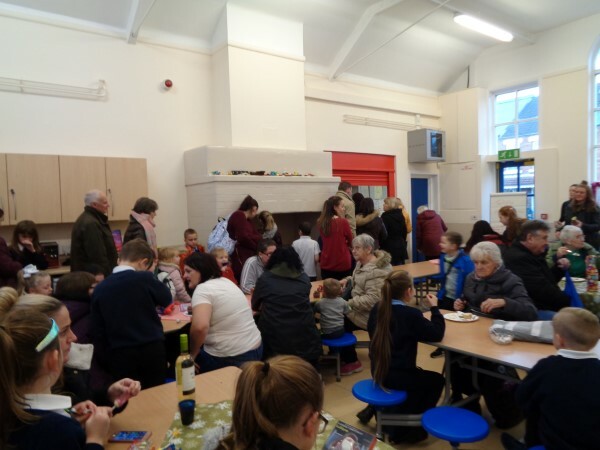 The event couldn’t be done without the support of parents and friends of the school. 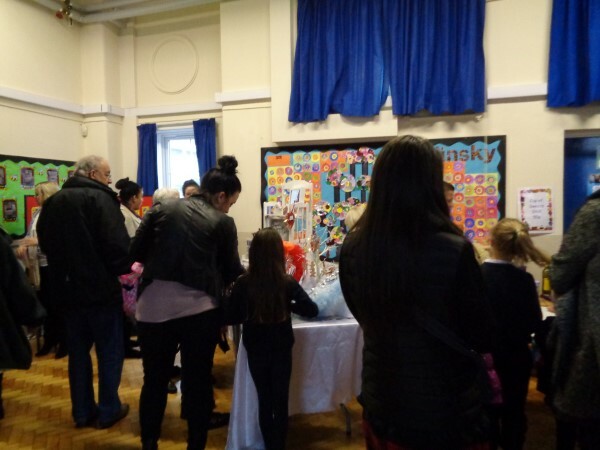 Thank you to everyone who purchased raffle tickets and for all of the tombola donations. 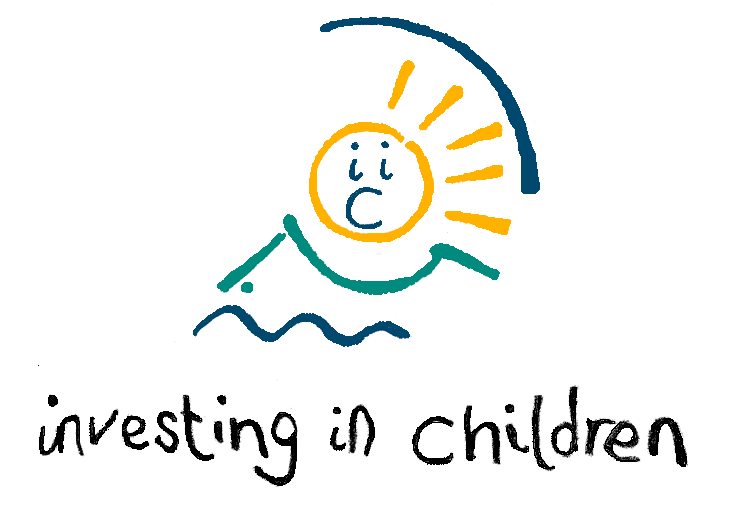 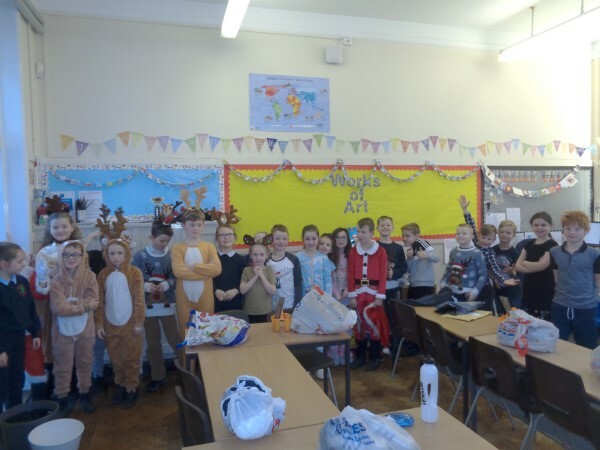 Well done to everyone who donated for Children in Need this year. 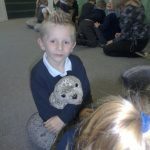 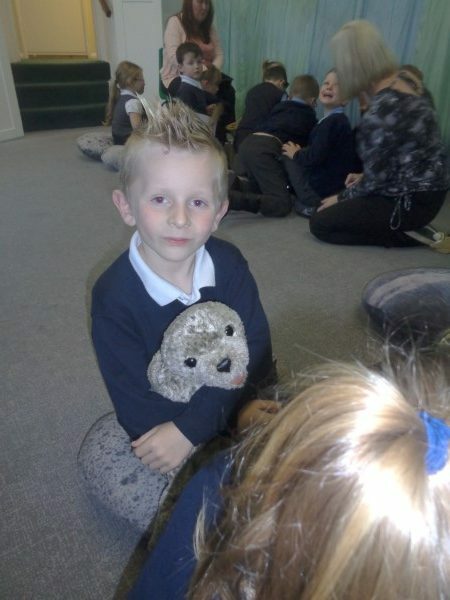 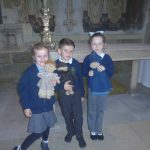 During the week, the children met Pudsey and took part in a competition to decorate a Pudsey Bear picture. 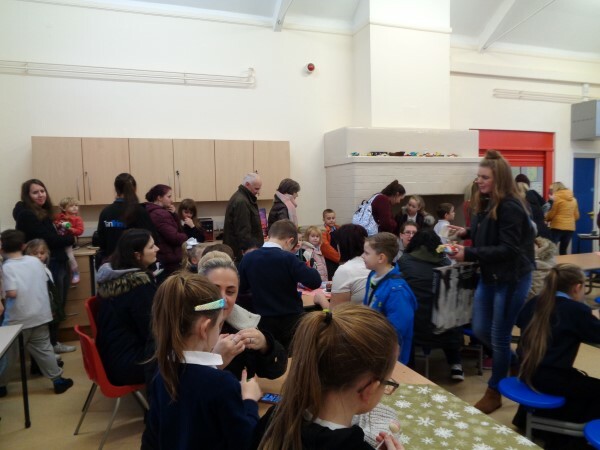 We also had a cake sale and non-uniform day so raised lots of money for an excellent cause whilst having fun! 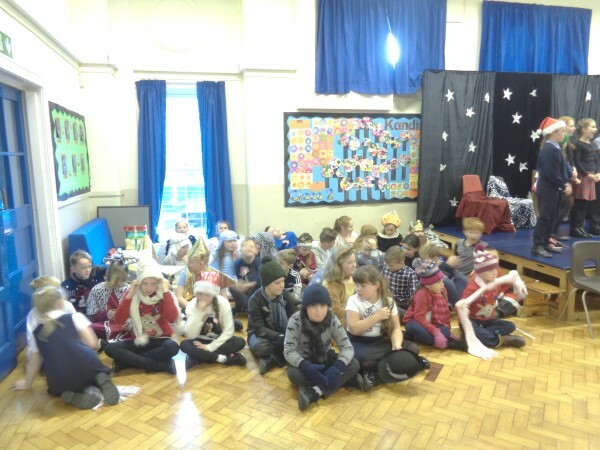 All of the children had a fantastic time at the fancy dress disco. 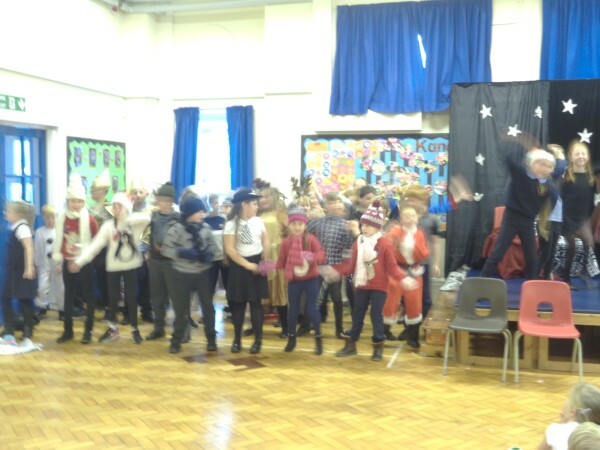 The children spent the evening dancing with their friends and eating yummy hotdogs! 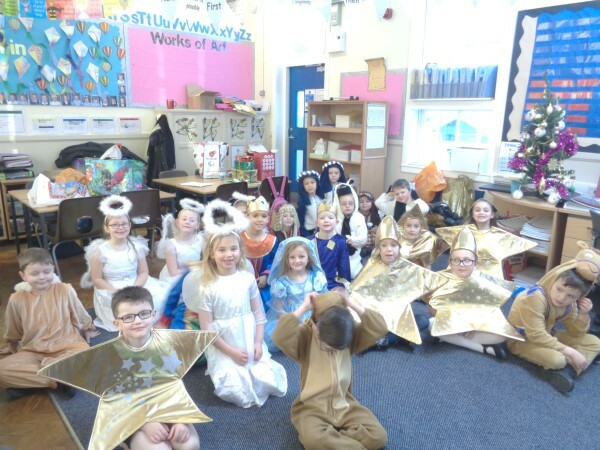 There were prizes for the most unusual costumes, it wasn’t easy picking a winner from each class because they were all so good! 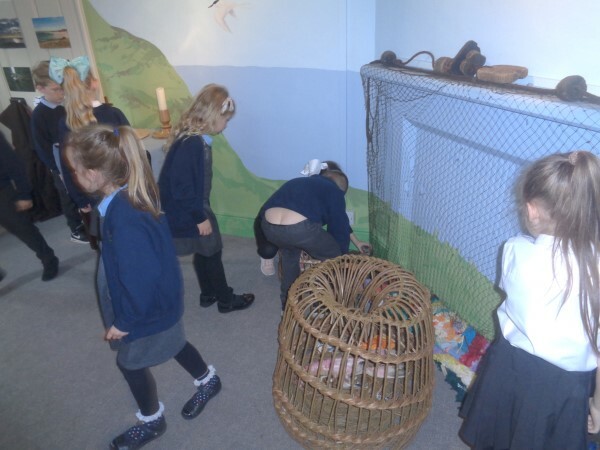 It was fantastic to see so many brilliant costumes, it was difficult to see who was hiding underneath some of the them! 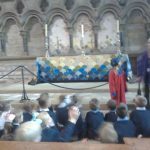 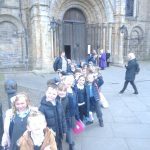 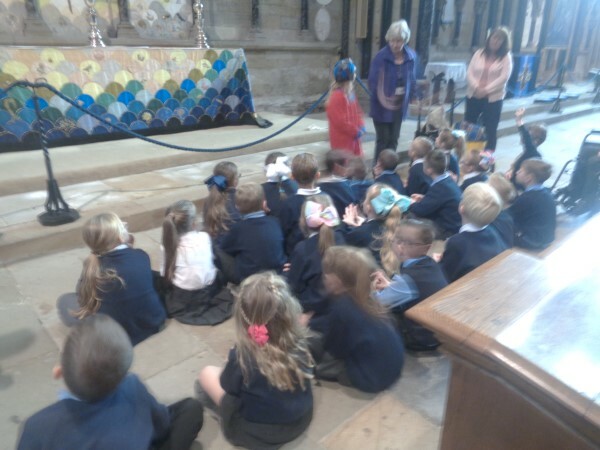 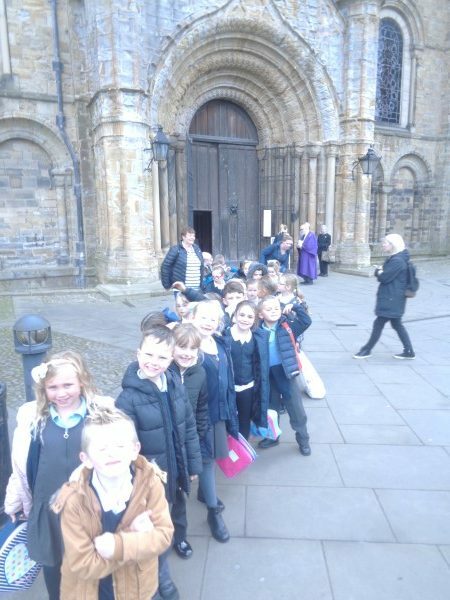 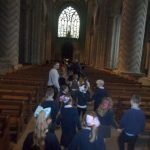 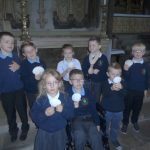 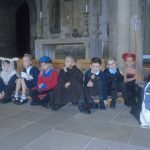 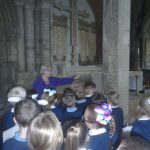 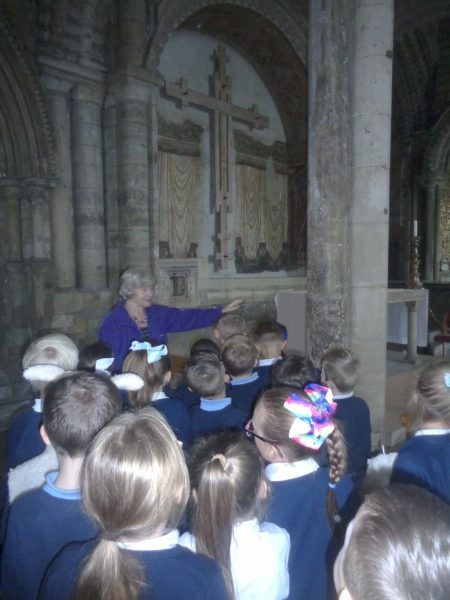 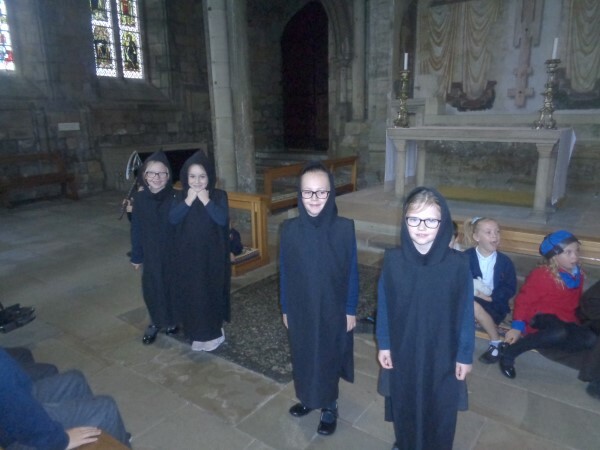 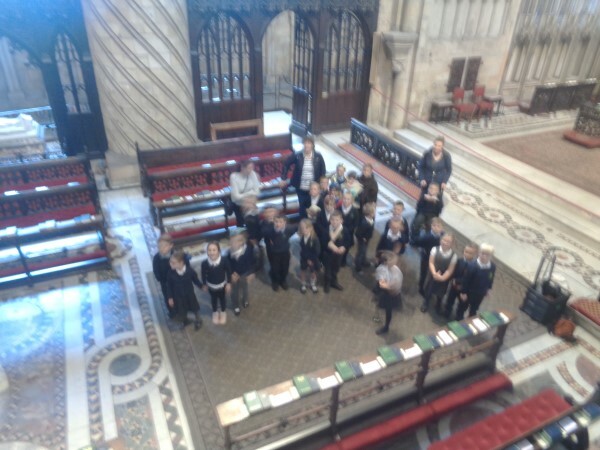 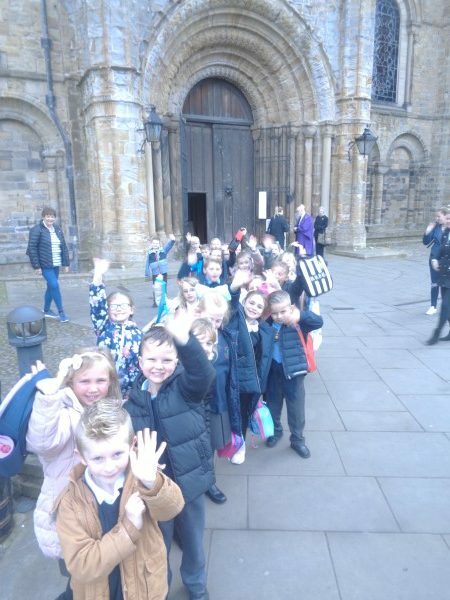 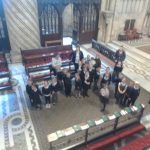 Class 2 had a fantastic day at Durham Cathedral on Wednesday 18th October 2017. 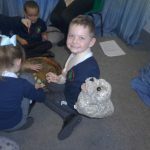 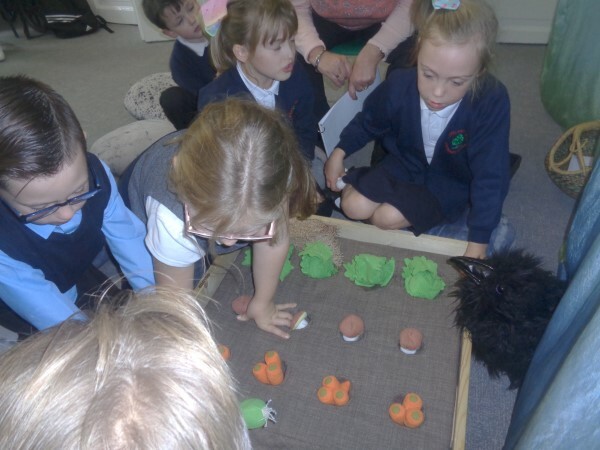 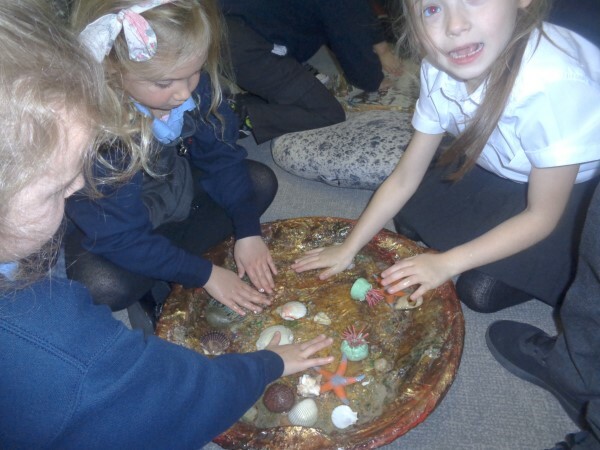 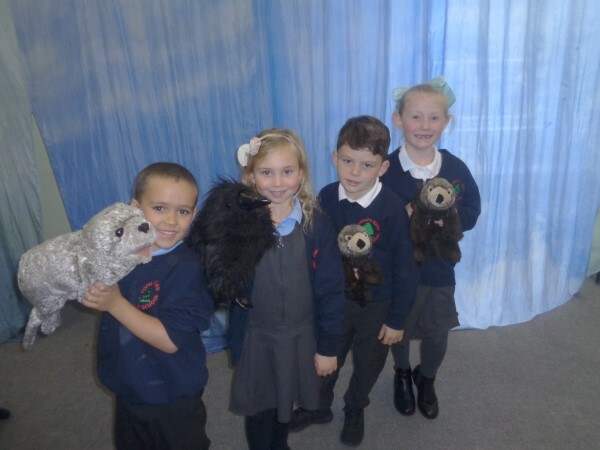 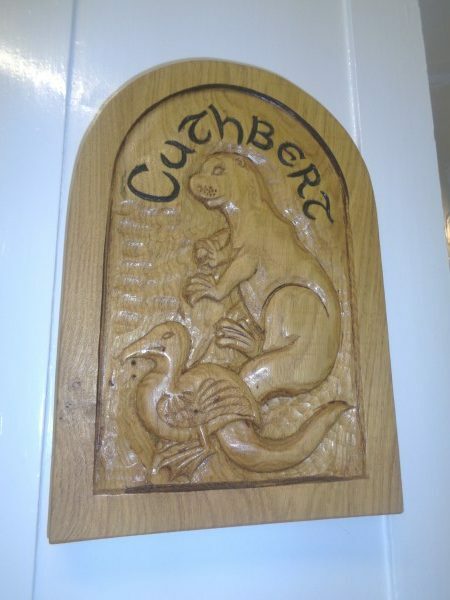 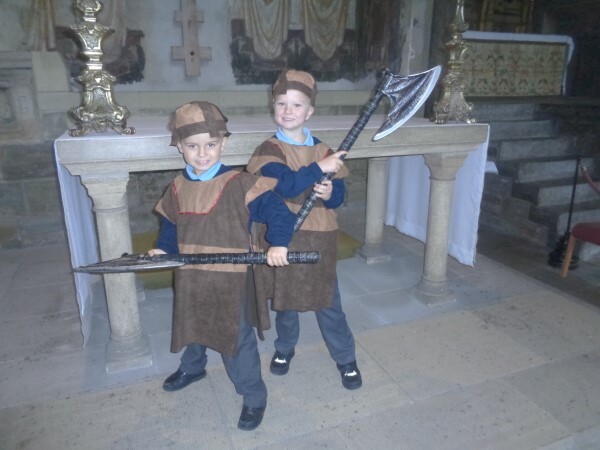 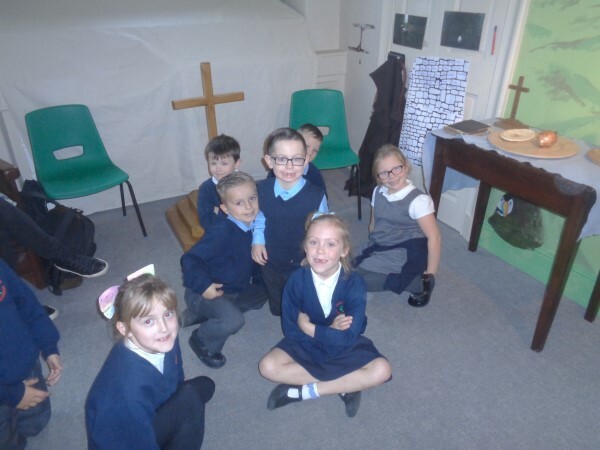 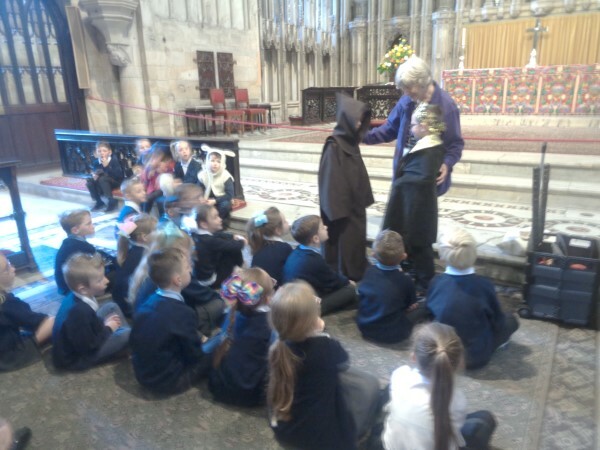 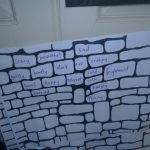 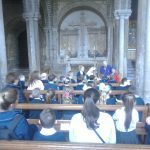 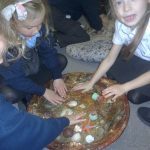 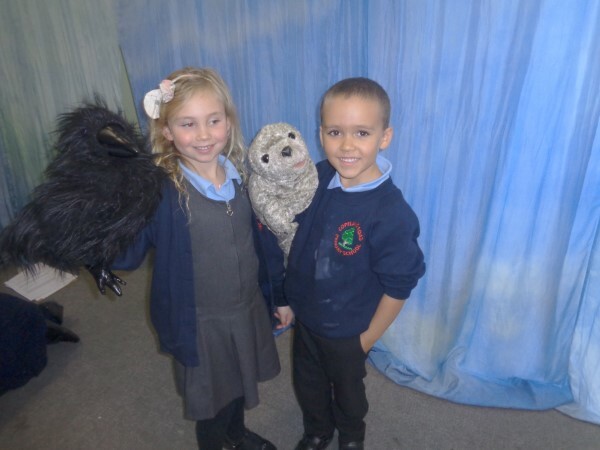 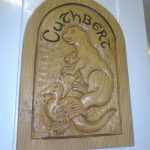 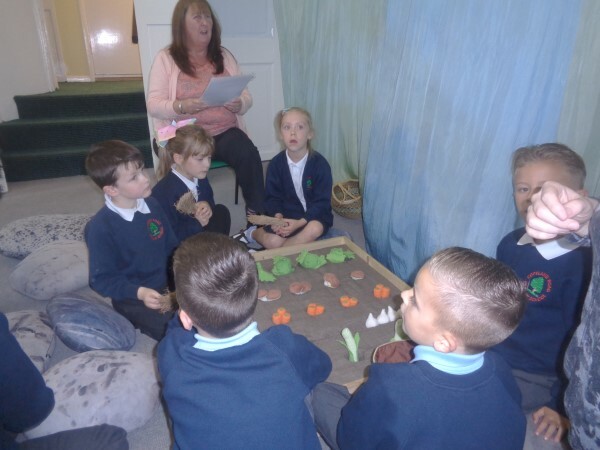 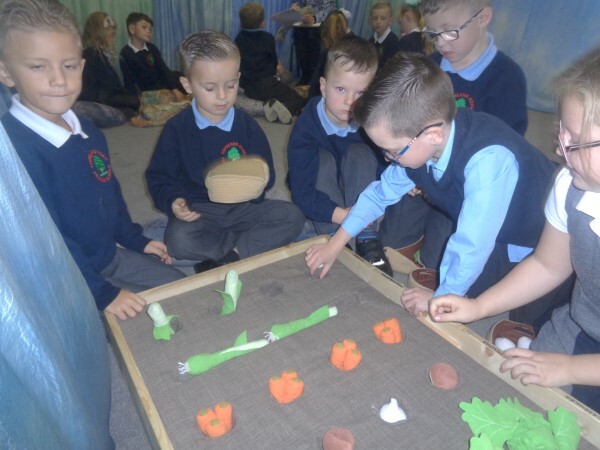 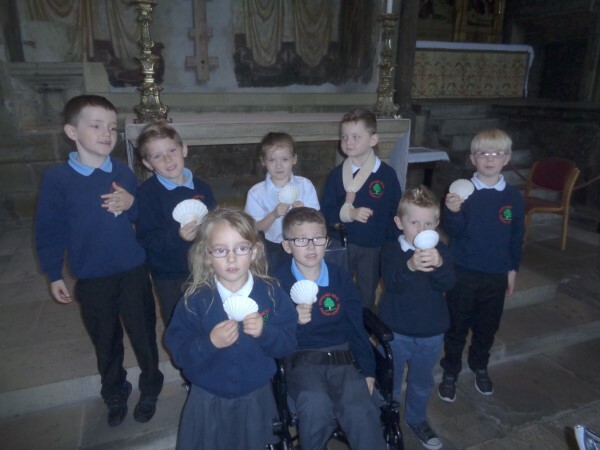 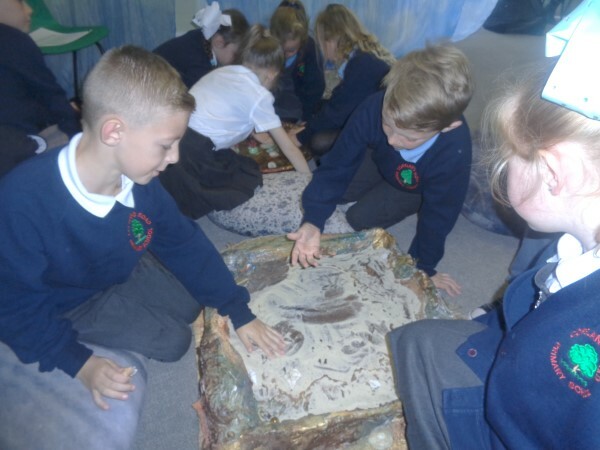 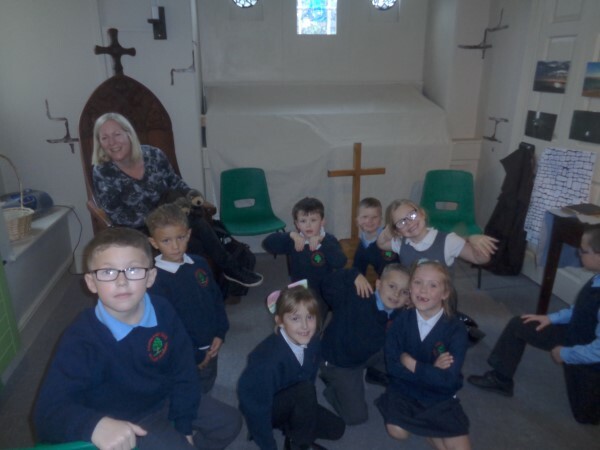 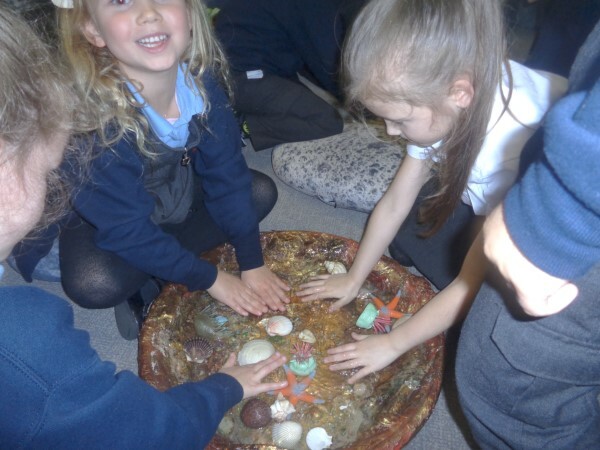 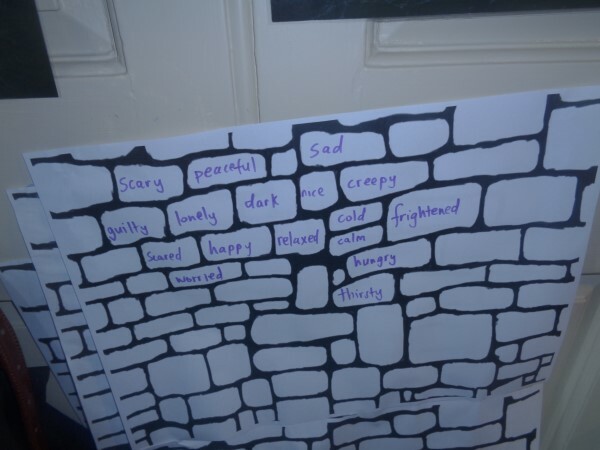 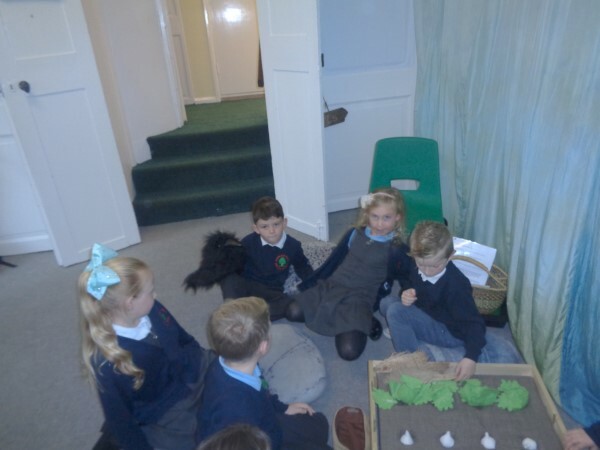 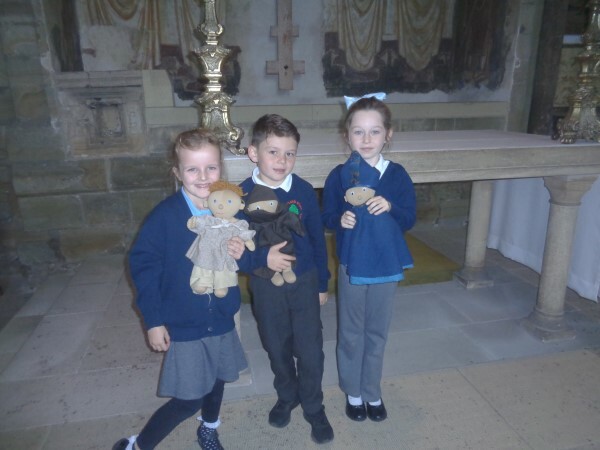 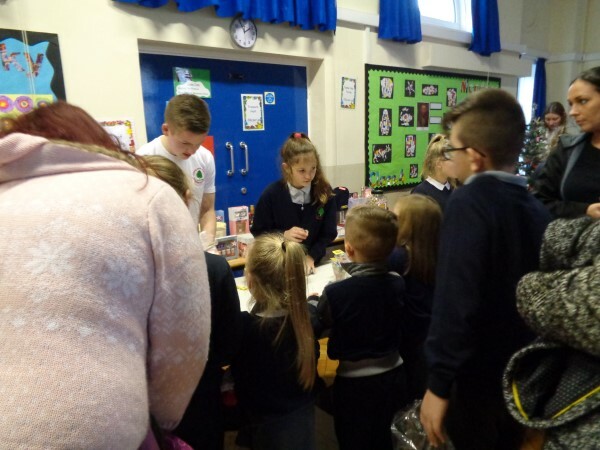 The children took part in their ‘Stories of St. Cuthbert’ workshop. 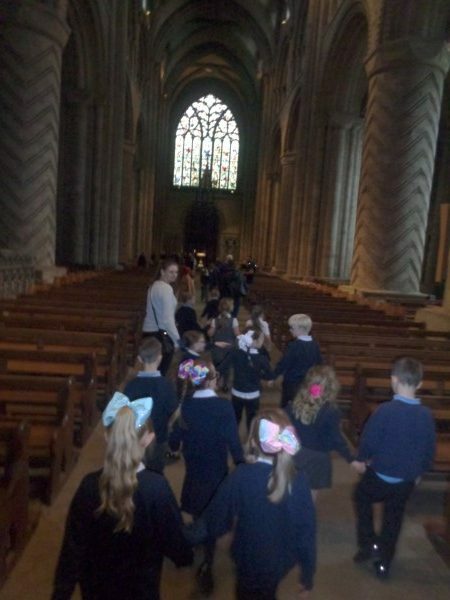 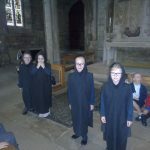 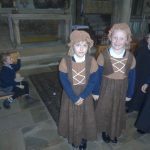 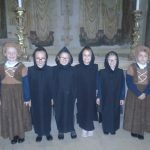 The children dressed up during the day and had a tour of Durham Cathedral. 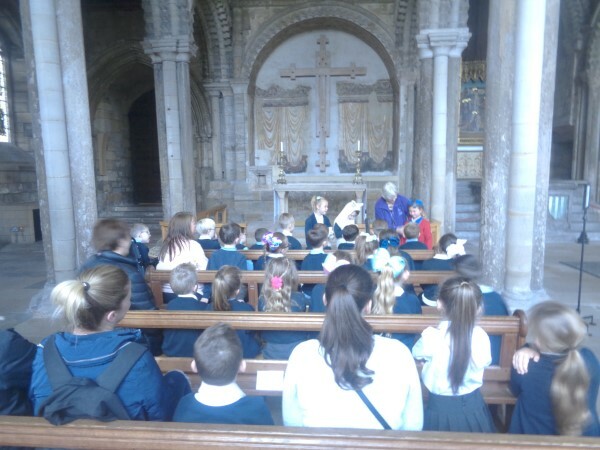 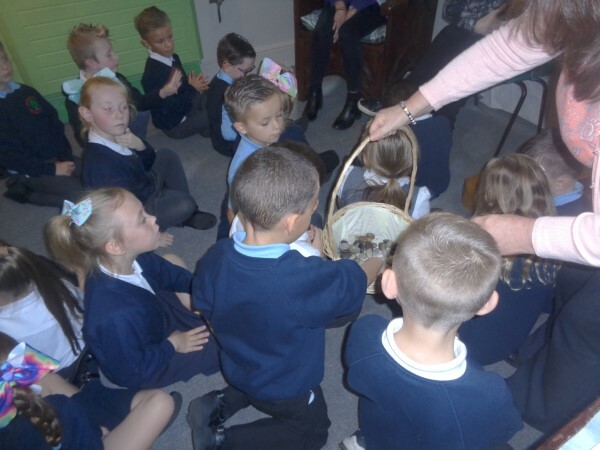 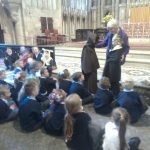 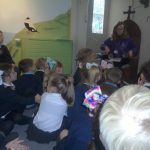 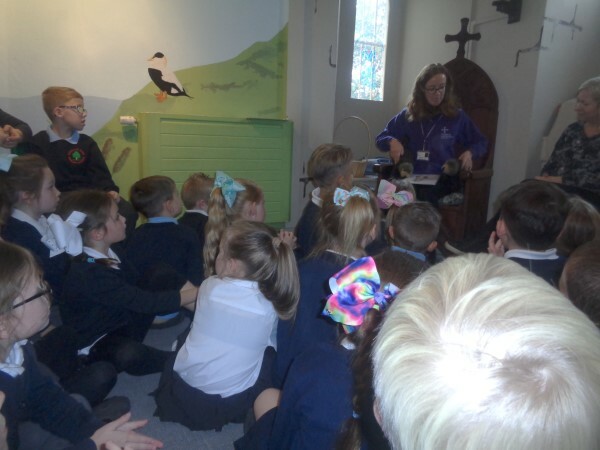 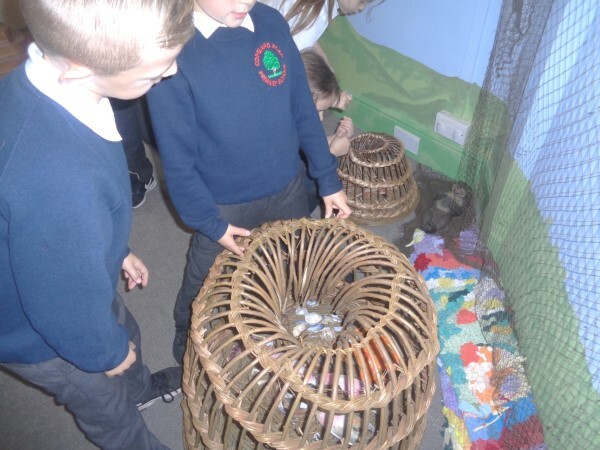 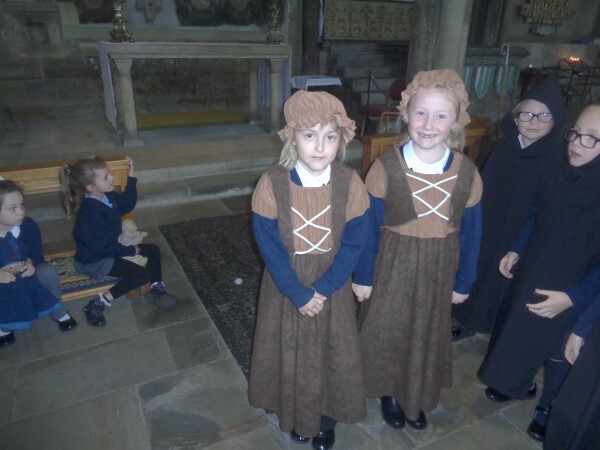 During the afternoon the children learnt about St. Cuthbert’s life. 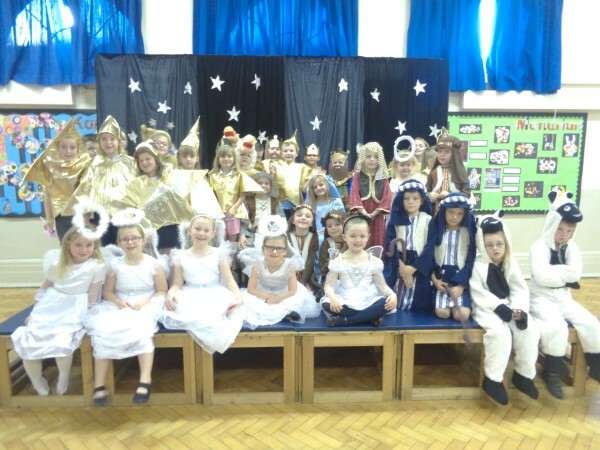 ‘I liked the activities and the dressing up costumes’ Ebony. 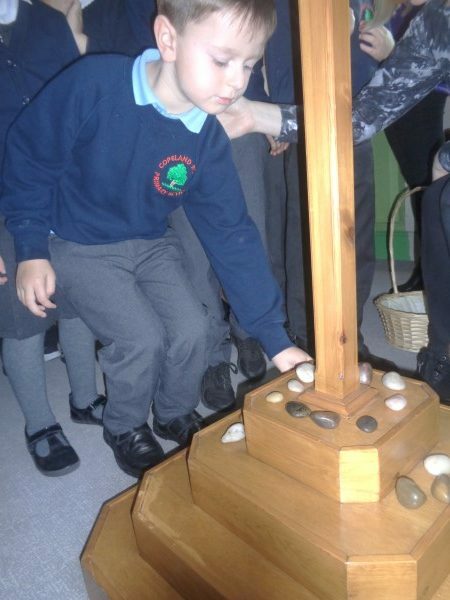 ‘The prayer stones were good’ Charlie. 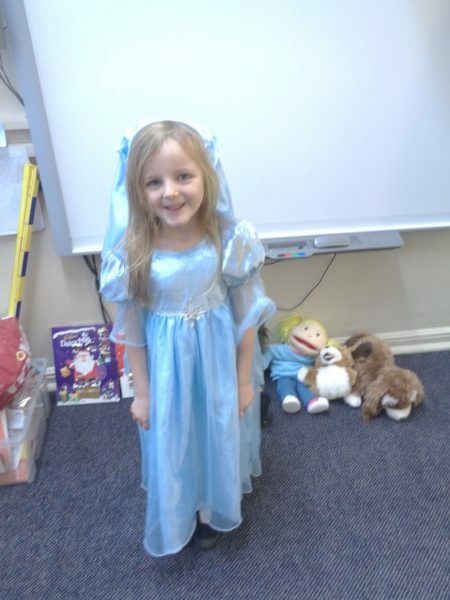 ‘The dressing up was fun’ Macey. 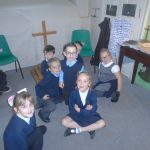 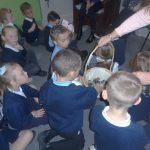 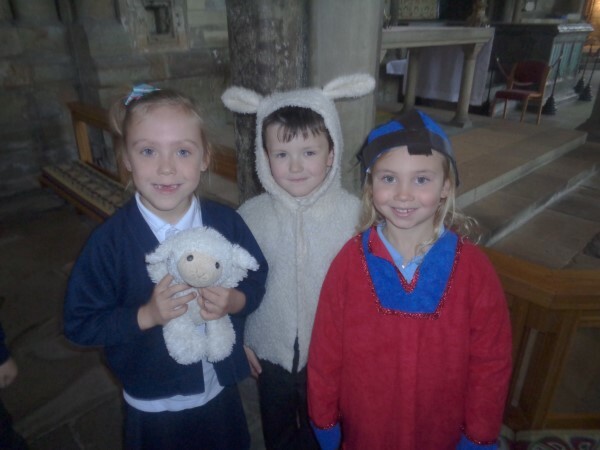 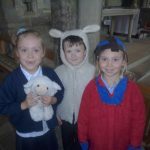 The children performed a variety of songs, prayers and poems to a full audience on Tuesday 17th October 2017. 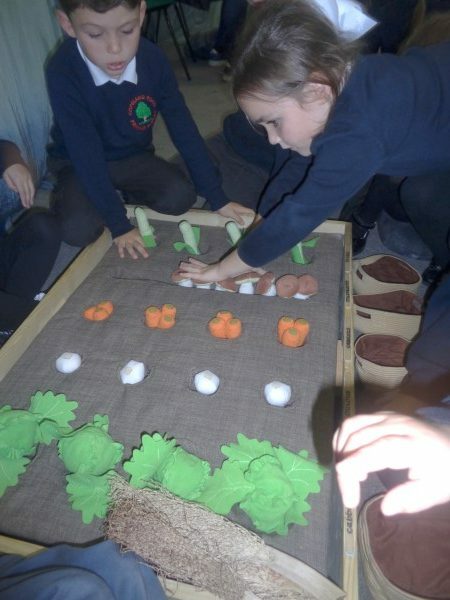 The school harvest table looked beautiful with a wide range of foods, fruit and vegetables. 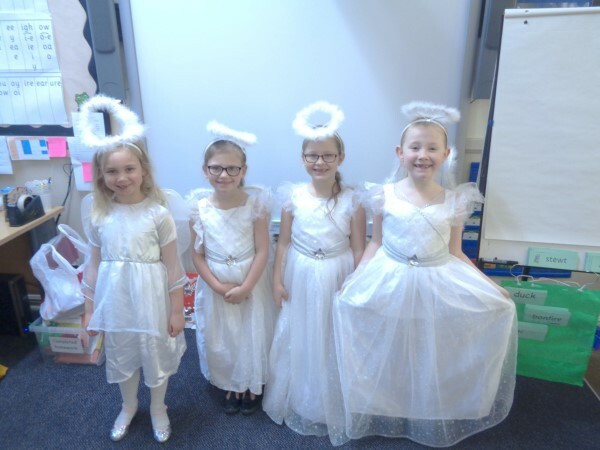 On behalf of everyone at the school, thank you to everyone who donated so generously. 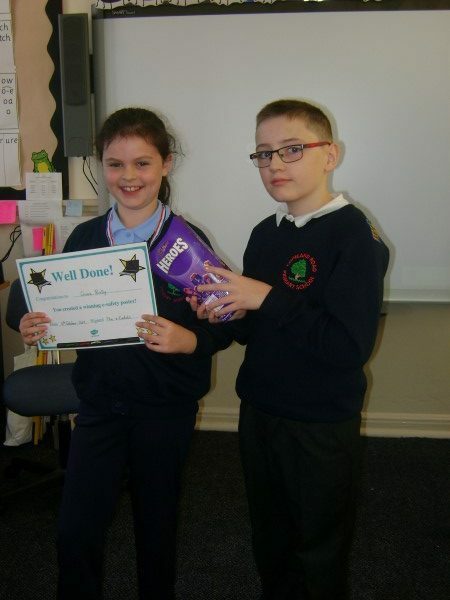 The parcels will be delivered to the nominated person and we are sure they will be greatly received. 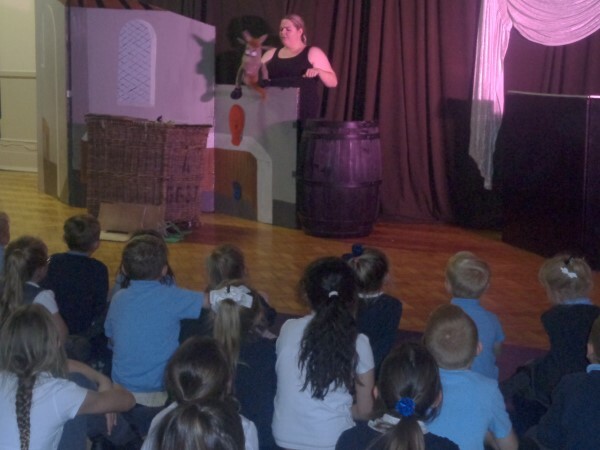 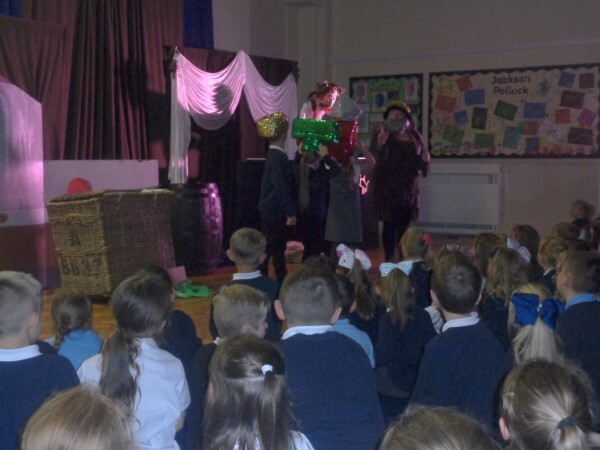 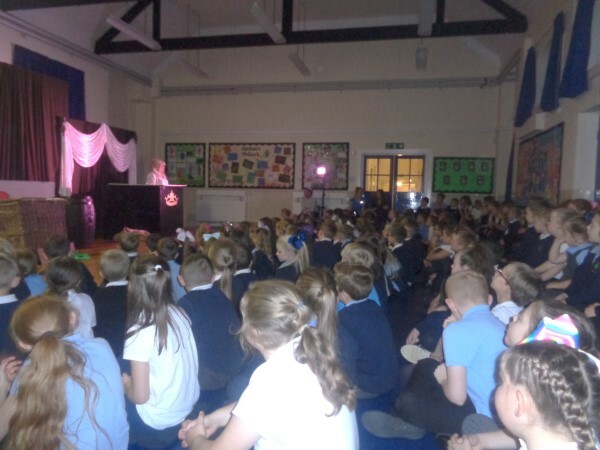 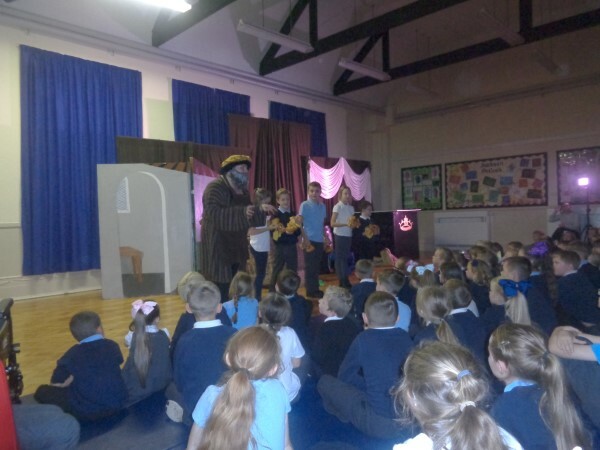 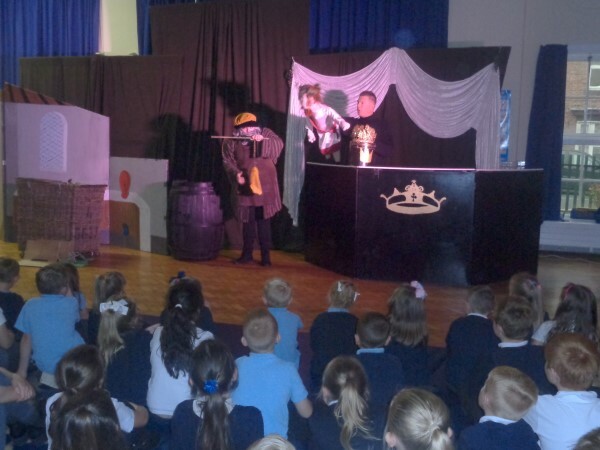 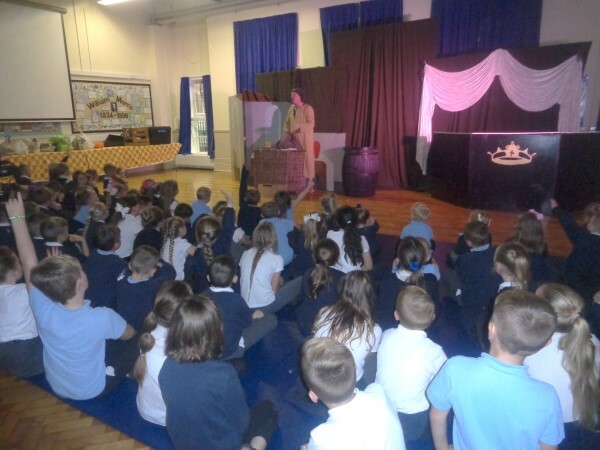 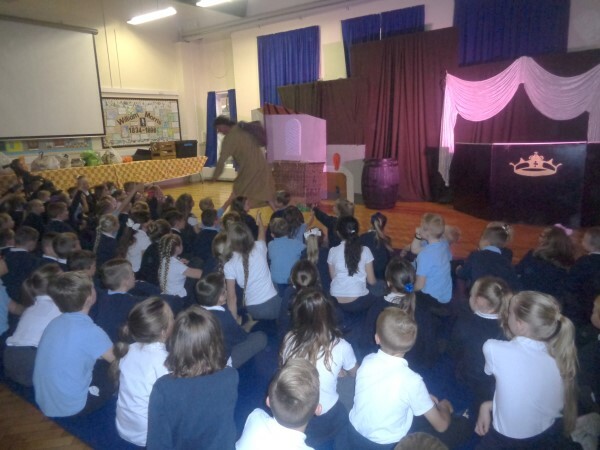 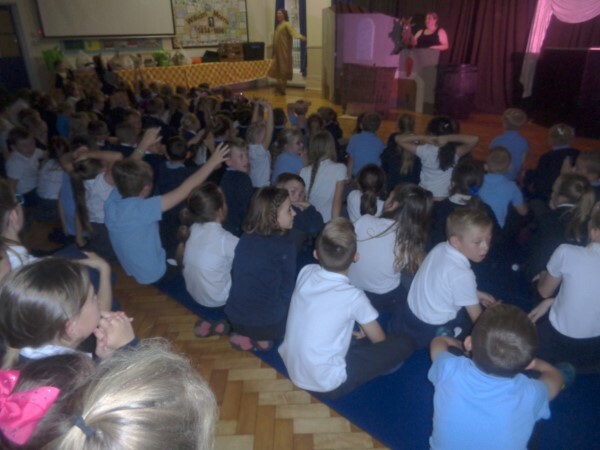 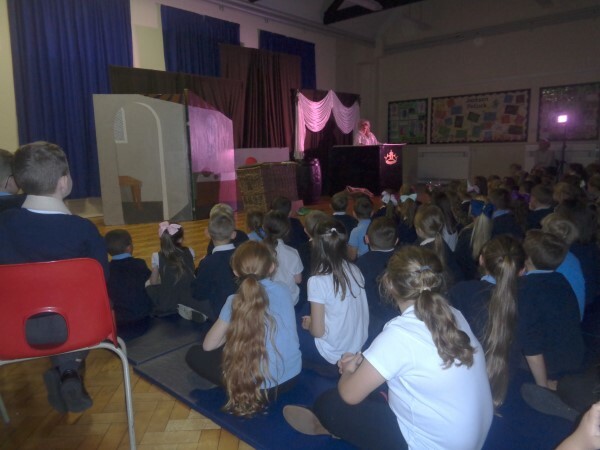 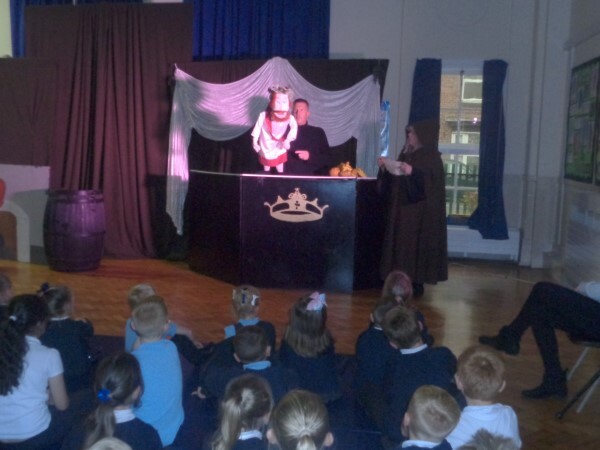 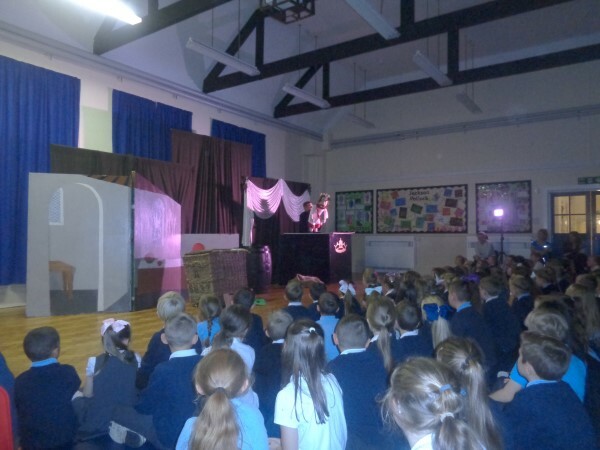 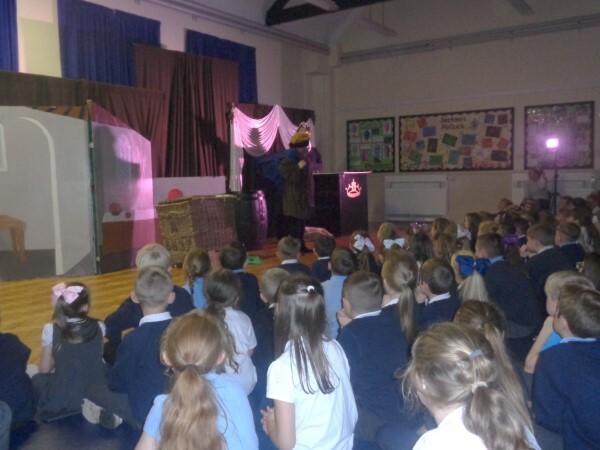 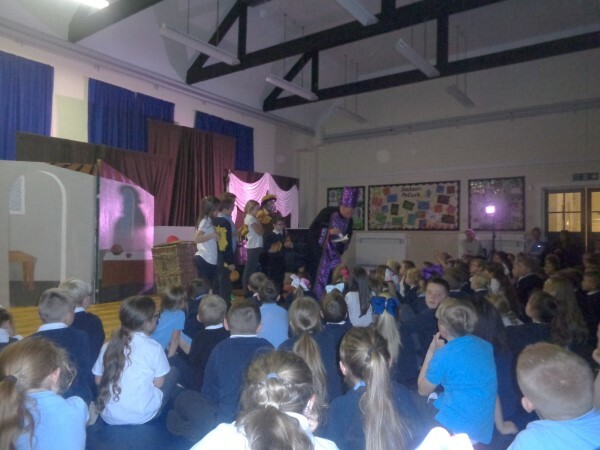 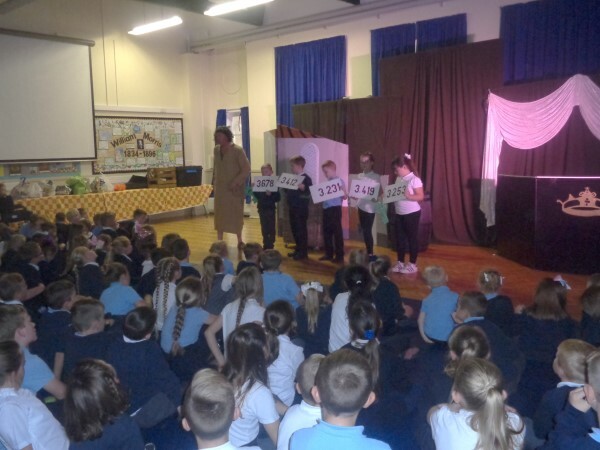 The children in school were treated to a performance by the Arty-Fact theatre on Monday 16th October 2017. 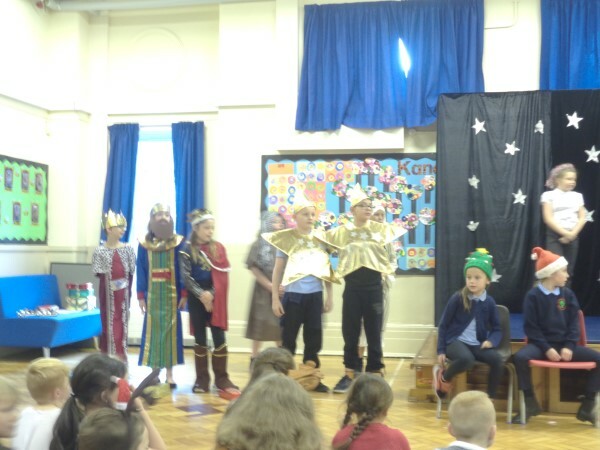 The production was set in ancient Greece and covered a variety of maths topics from 3D shapes to percentages. 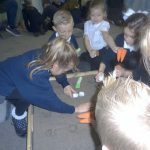 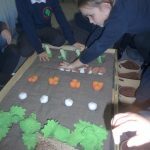 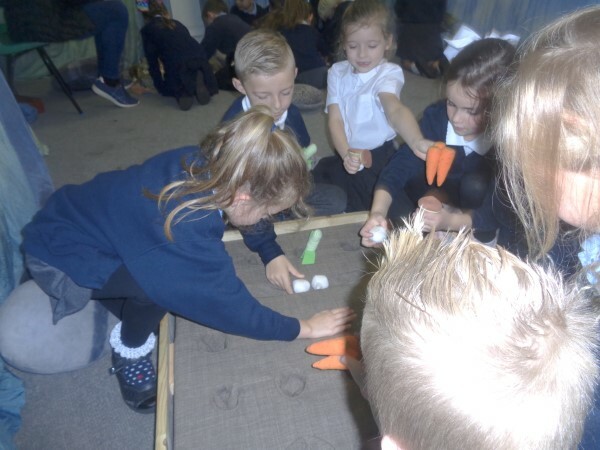 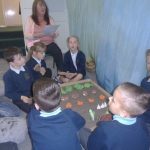 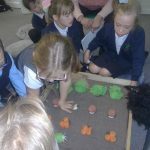 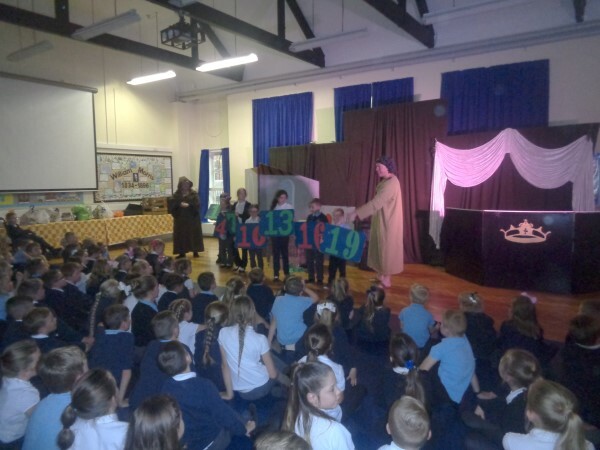 During the performance the children participated with answering a range of maths questions and completed some sequences that had missing numbers. 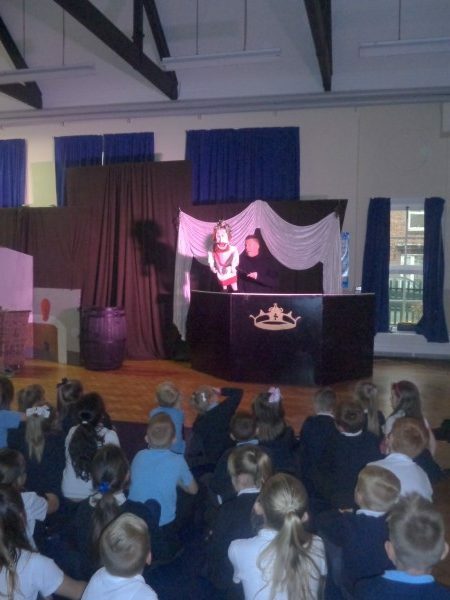 ‘I liked the part when he pretended to go in the bath. 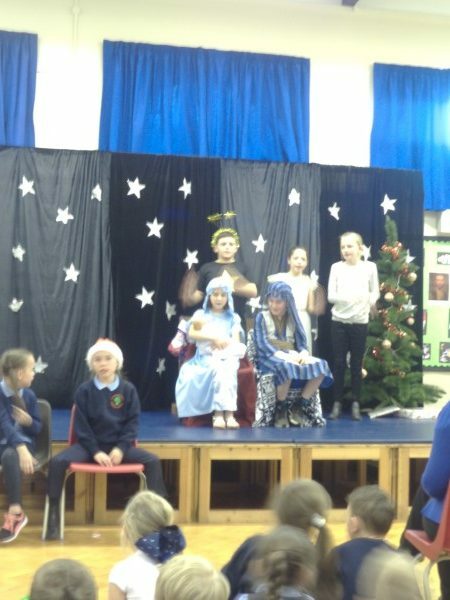 It was funny!’ Sophie. 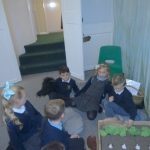 ‘My favourite part was when the cream was built’ Chloe. 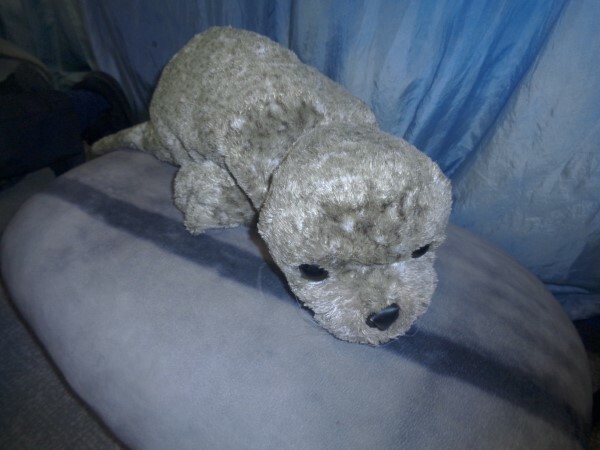 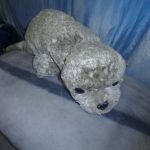 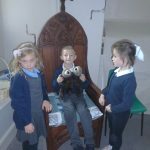 ‘The puppets were really good!’ Oliver. 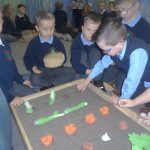 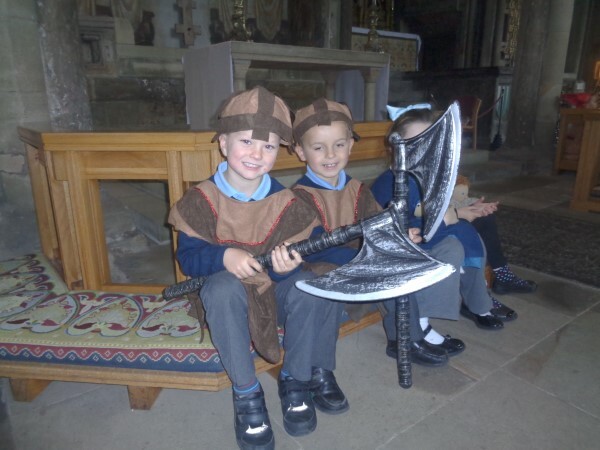 ‘I liked the different props they used‘ Finlay. 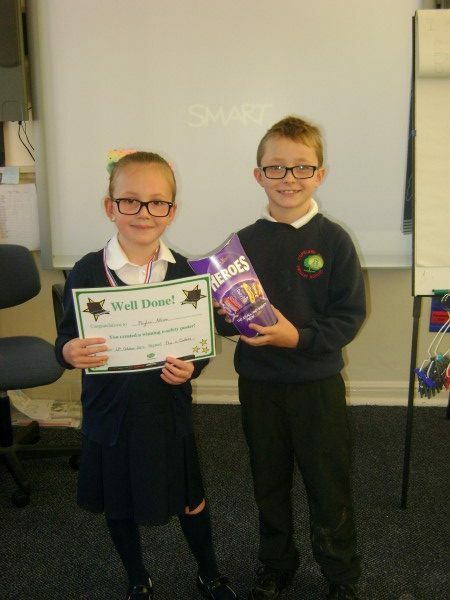 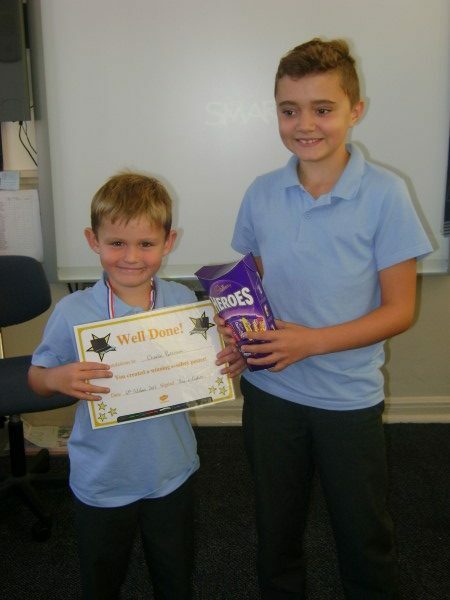 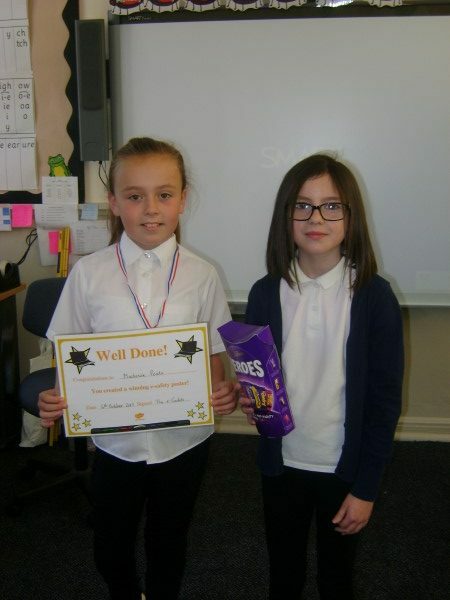 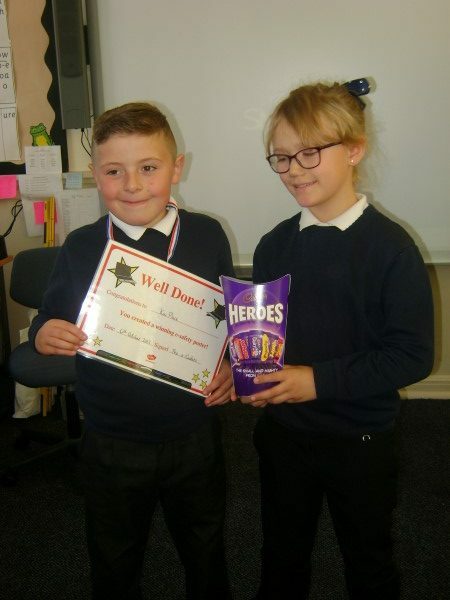 Congratulations to the winners of the internet safety competition. 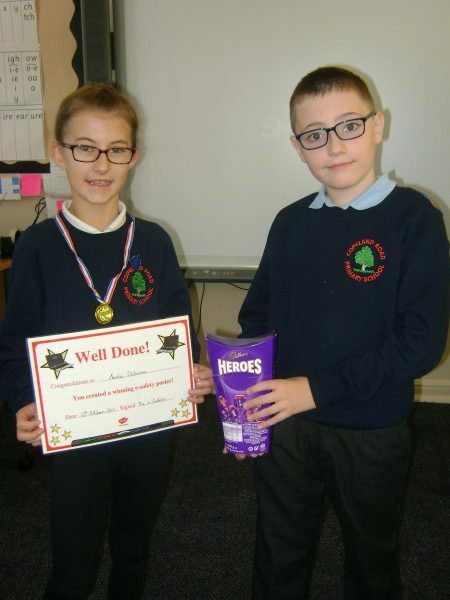 Our e-Cadets launched a competition for all children from across the school to make an e-safety poster. 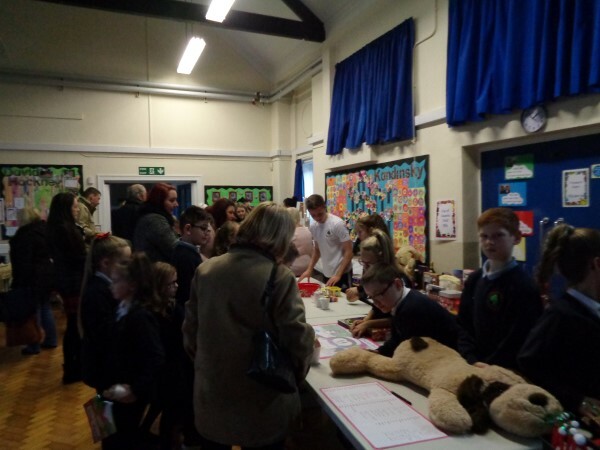 We received lots of entries and the e-Cadets had the difficult task of choosing a winner from lots of fantastic designs. 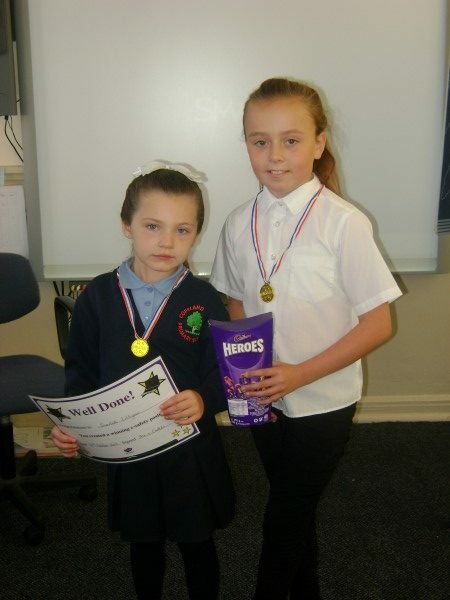 The winning posters were colourful and had the key internet safety messages on them. 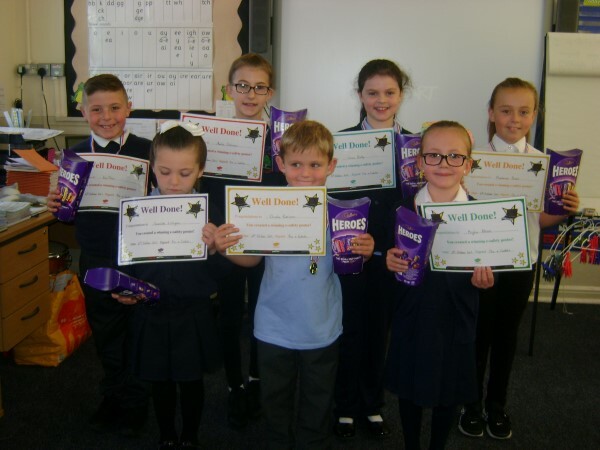 Well Done to the winners and thank you to everyone that took the time to enter. 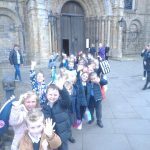 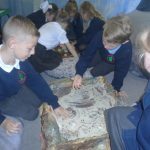 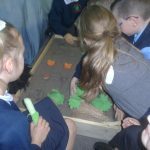 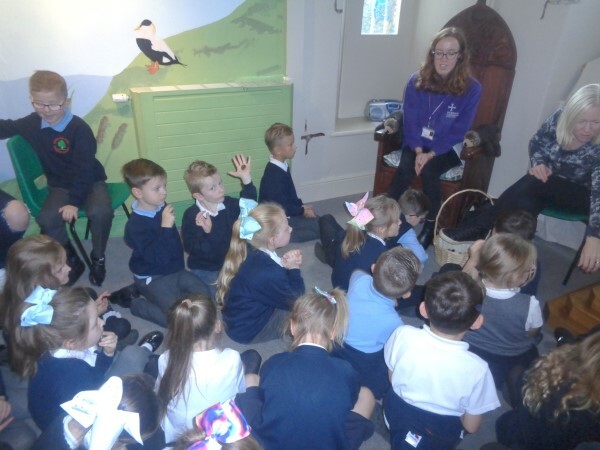 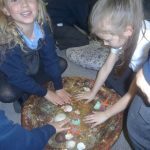 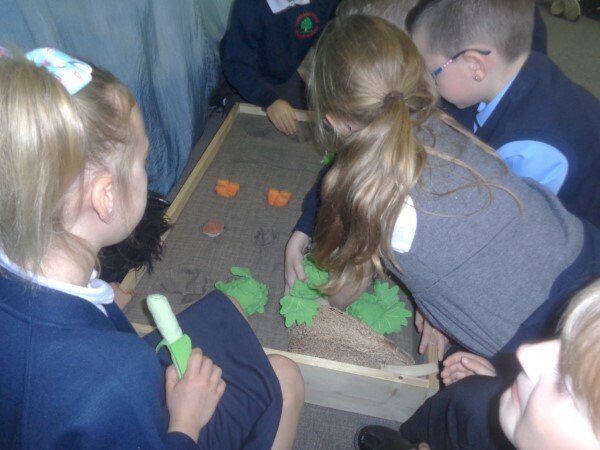 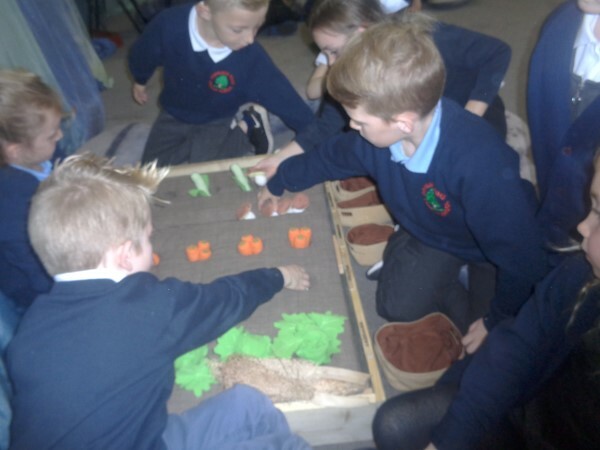 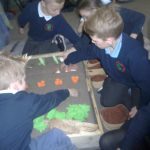 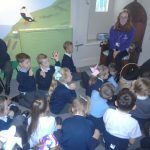 Wednesday 13th September 2017 was an exciting day for Class 2, the children took part in Auckland Castle’s pop-up palace! 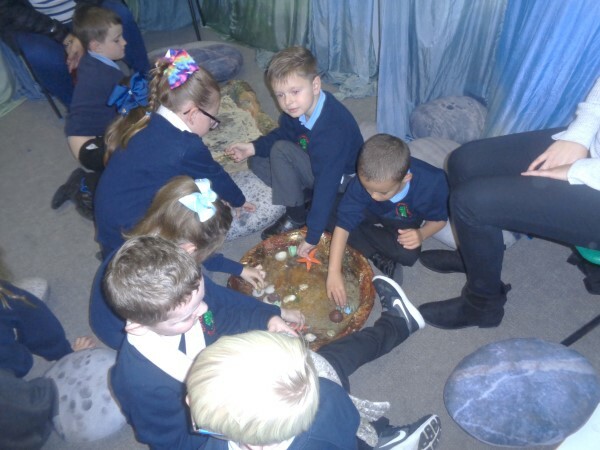 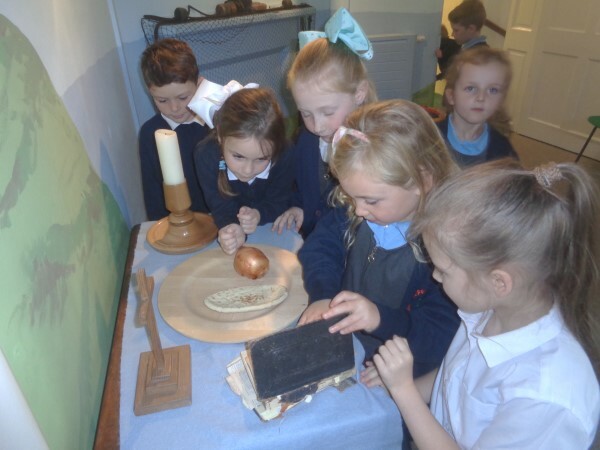 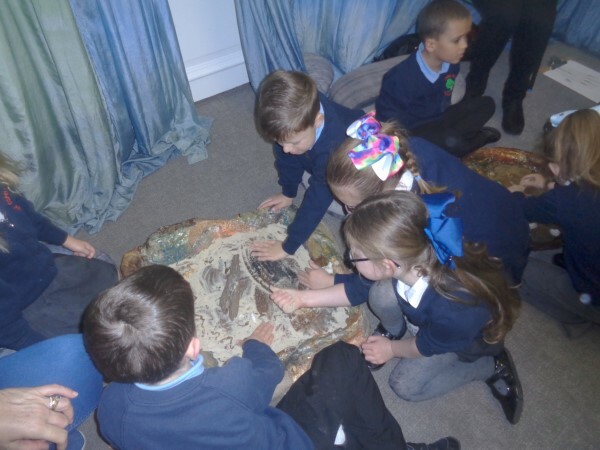 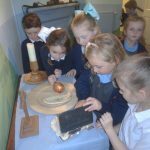 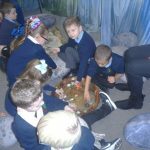 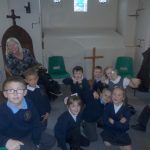 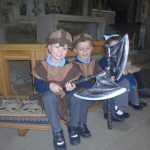 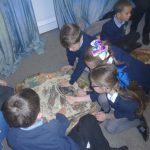 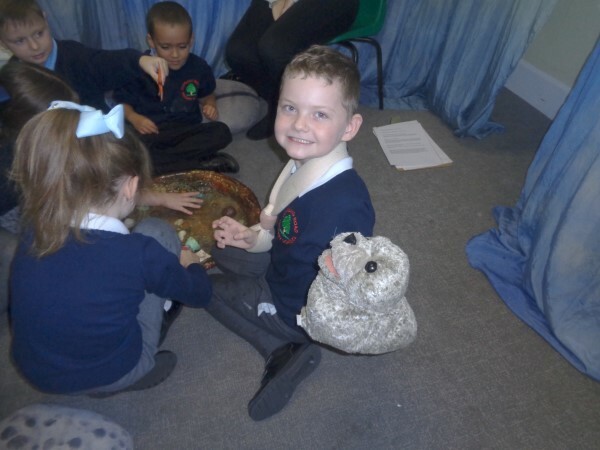 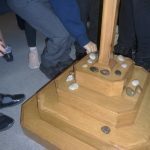 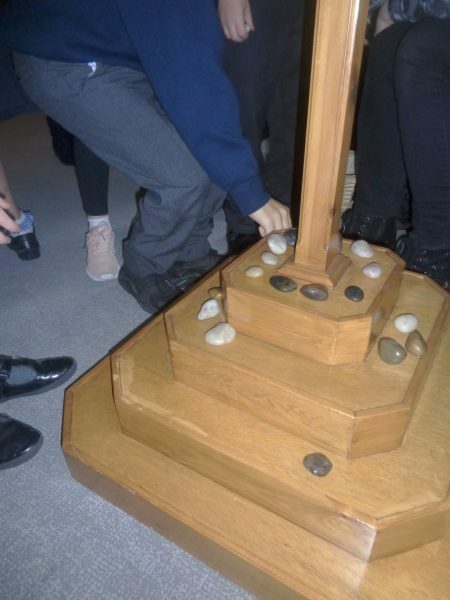 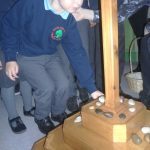 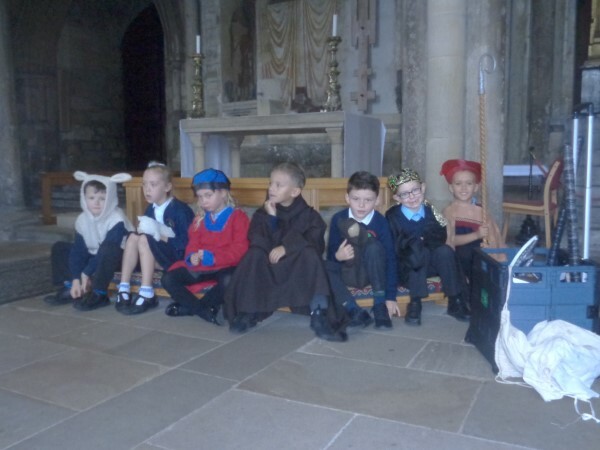 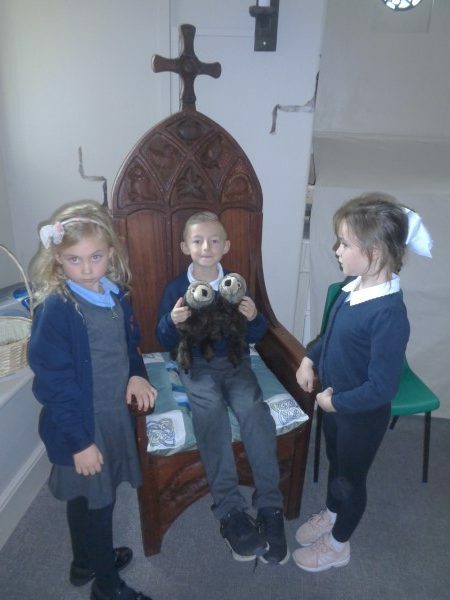 The children were able to experience sitting on the throne and handle artefacts. 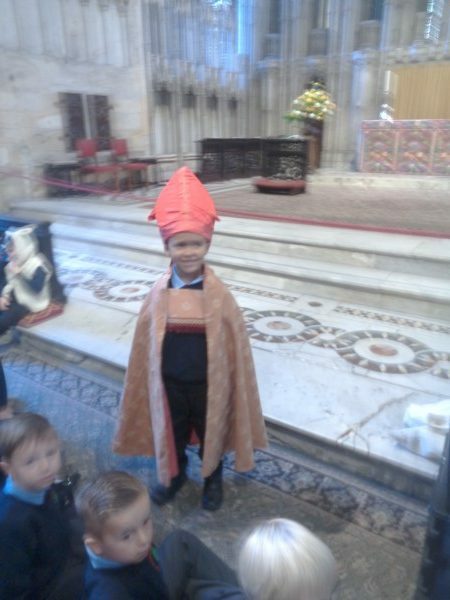 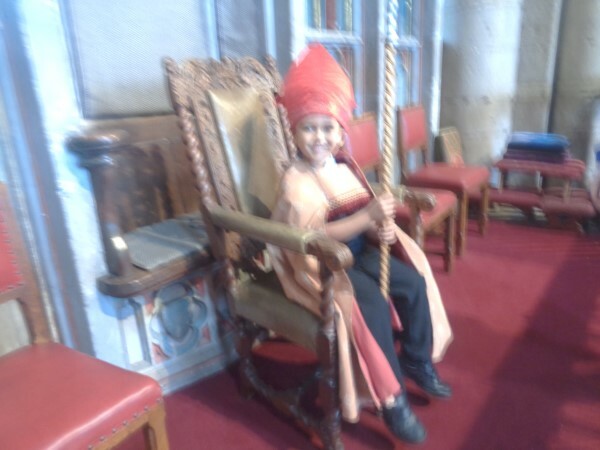 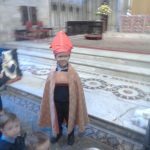 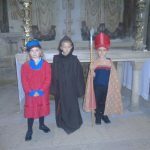 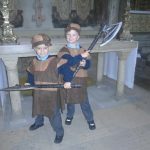 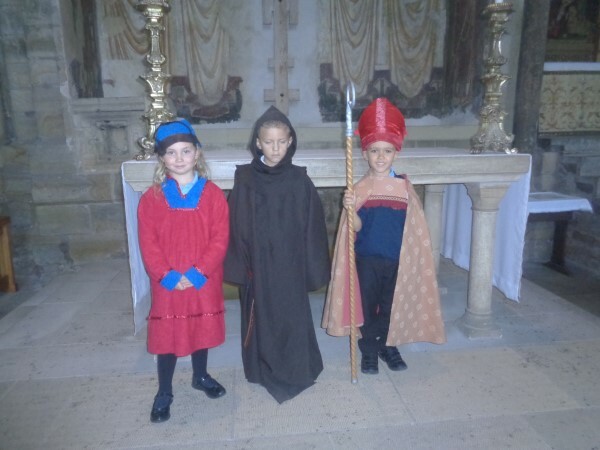 The children were able to dress up as Bishops during the day. 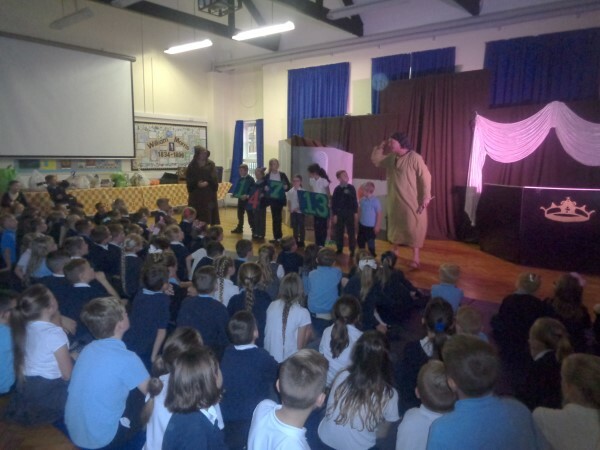 We had a drama activity where the children heard the myth of Pollard and the Boar. 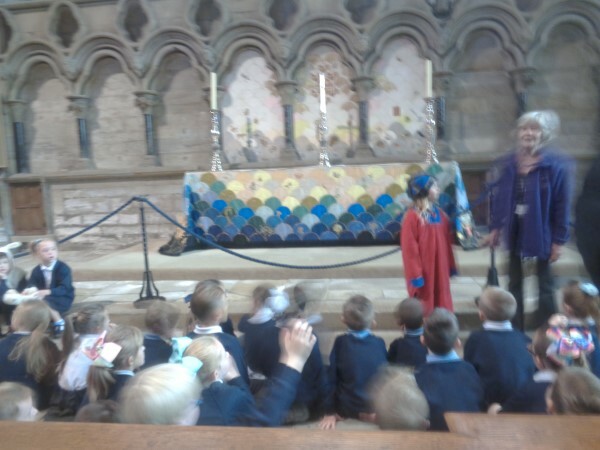 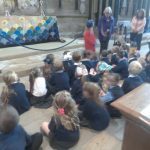 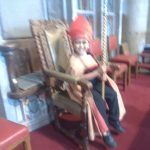 During the day the children completed various art tasks including decorating their own mitre (hat), creating their own Bishop’s Boar and also a self-portrait in the style of the Bishops of Durham, using chalk and charcoal. 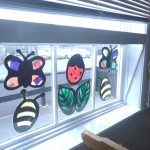 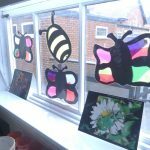 Friday 23rd June 2017 saw the children from Reception create their very own stain glass window. 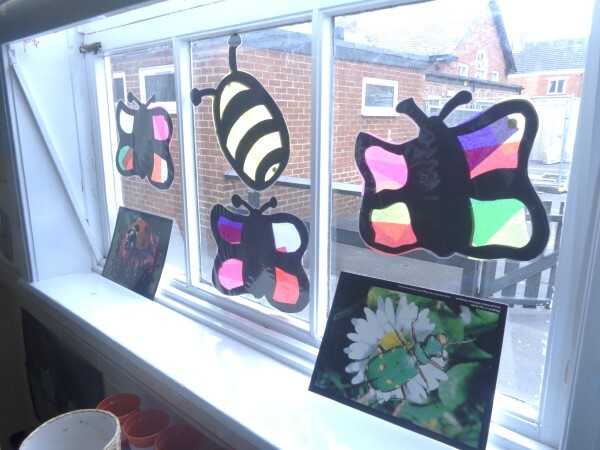 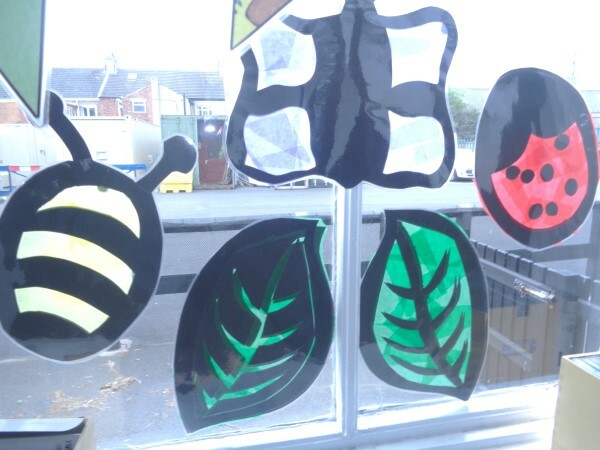 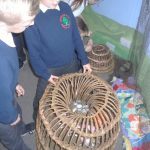 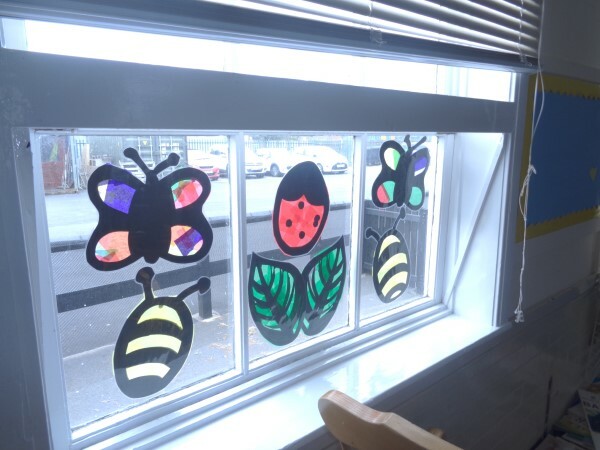 This colourful addition to the classroom links to their topic this term, which has been all about mini beasts. 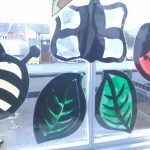 The children enjoyed choosing their own colours and making the pretty patterns.